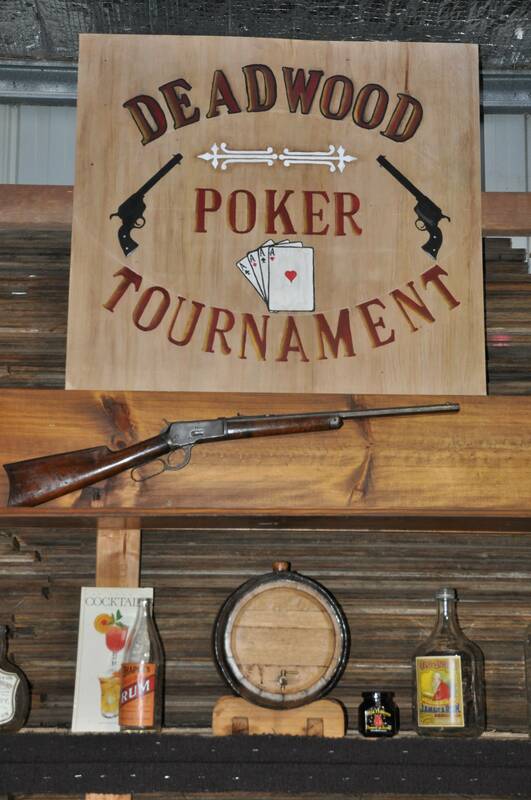 It’s the First Annual Deadwood Poker Tournament! You would be a fool to miss this celebration! Clean versions are void of references to extra-marital affairs, alcohol and/or illegal drugs. Teens and/or more conservative groups often use clean versions for their mystery of choice. As the organizer of this grand event, Harry has a lot at stake if it is not successful! 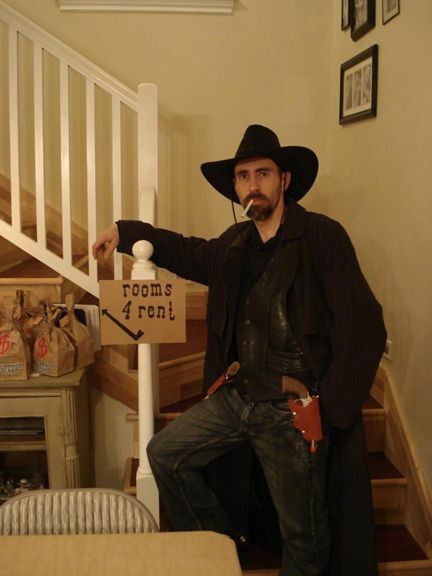 Spending less and less time at the saloon lately, could Henrietta be into something or someone else? 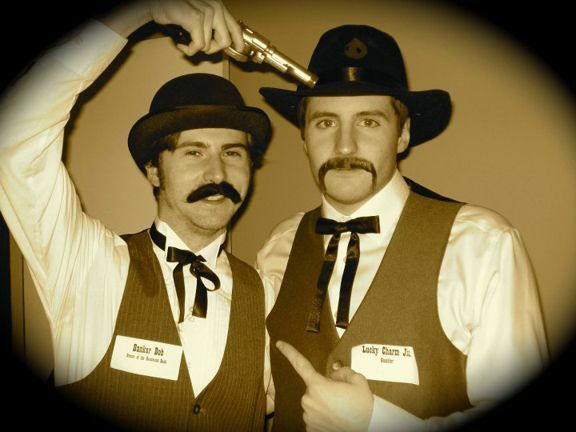 The best hand in poker either side of the Mississippi, Jack has not lost a major tournament in the last five years. Until now. Known as her husband’s good luck charm, some say Anna Belle is the reason Gambling Jack never loses. As the winner of the tournament, many question how a businessman could have such great card skills. Could Mitch be the next poker phenomenon? 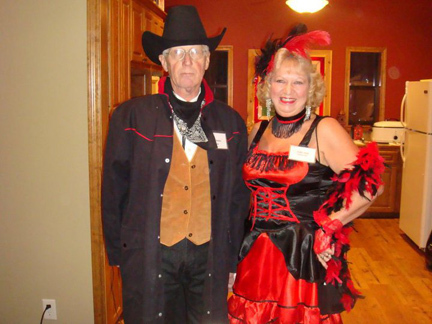 A real southern belle with a flare for poker, many wonder what a girl like Holly is doing in the Wild West? Everything you need to know from who's coming to the proper slang to use at it! Harry High-Stakes—Saloon Owner. As the organizer of this grand event, Harry has a lot at stake if it is not successful! Henrietta High-Stakes—Wife to Harry High-Stakes. 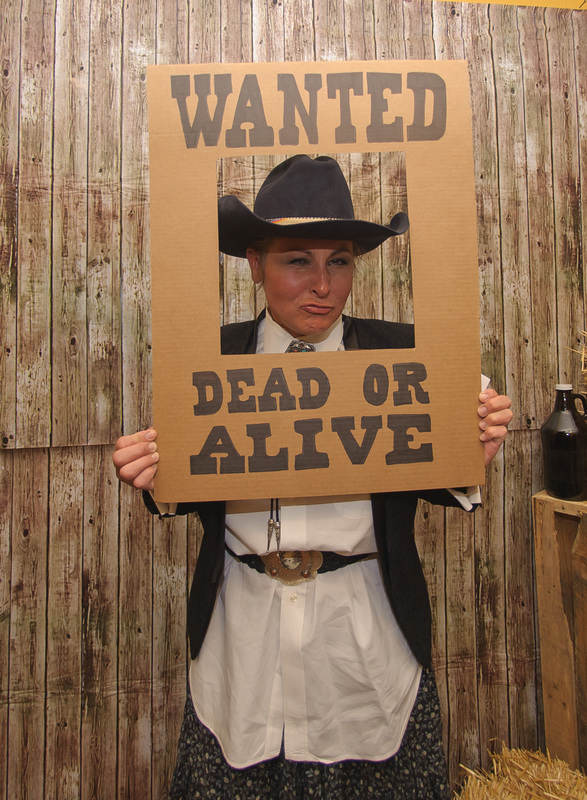 Spending less and less time at the saloon lately, could Henrietta be into something or someone else? Gambling Jack—Gambler. The best hand in poker either side of the Mississippi, Jack has not lost a major tournament in the last five years. Until now. 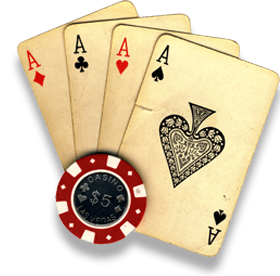 Anna Belle—Wife to Gambling Jack. Known as her husband’s good luck charm, some say Anna Belle is the reason Gambling Jack never loses. Mitch Maverick—Traveling Businessman. As the winner of the tournament, many question how a businessman could have such great card skills. Could Mitch be the next poker phenomenon? Holly Hickok—Gambler. 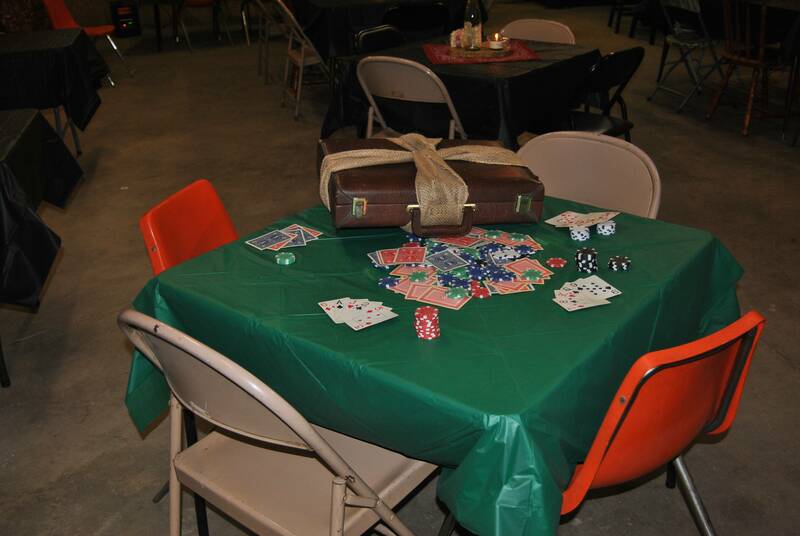 A real southern belle with a flare for poker, many wonder what a girl like Holly is doing in the Wild West? Clay Coldwell—Gambler. A once known poker-great, Clay may no longer be lucky in cards, but he may be proving to be lucky in love. Montgomery Money—Land Investor. Arriving just this last night, word is Montgomery has his eye on purchasing the saloon and is using this traveling opportunity to seize it. Elizabeth Money—Wife to Montgomery Money. Although Elizabeth has been here scouting land prospects for her husband all week, she is still not used to the rough and rugged ways of the West. Minnie Money—Debutante. As the sheltered daughter of Montgomery and Elizabeth Money, Minnie’s first trip out west has been an adventure that has taught her a lot about the wild ways of the West and the people it breeds. Banker Bob—Bank Owner. After the Bank of Deadwood was robbed earlier this week, Bob suspects the culprit is someone in need of ante money for the poker tournament. Will Bob take justice into his own hands to punish the bandit? 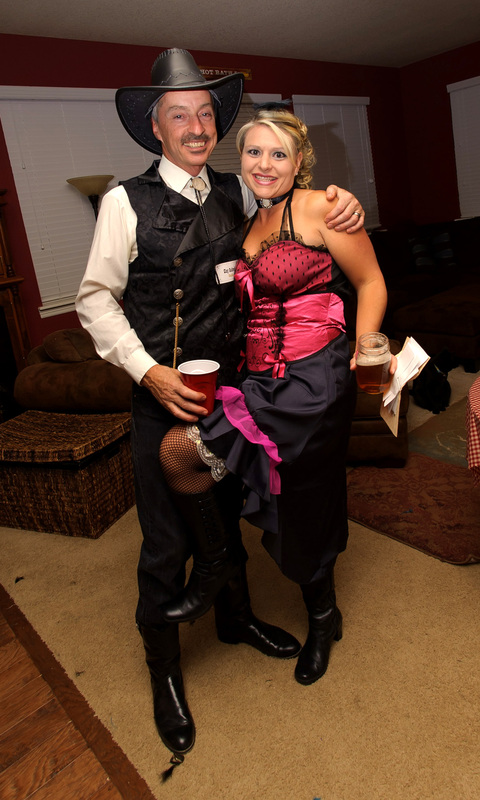 Banker Bonnie—Wife to Banker Bob. Desperate for Bob’s attention, Bonnie will do anything to get it. Anything. Jesse Wales—Outlaw. Is Jesse here to meet up with old acquaintances or is this purely a business trip? 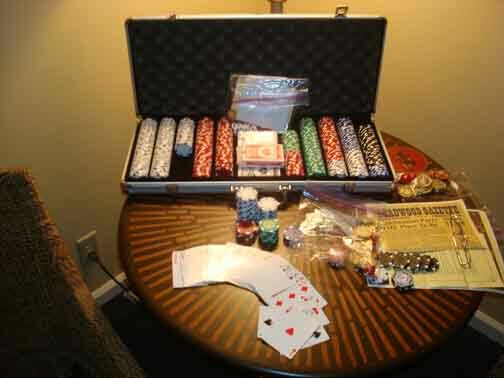 Poker Alice—Poker Dealer. Alice makes her living dealing cards at the saloon, but could she be hiding more than her love for her favorite bartender? 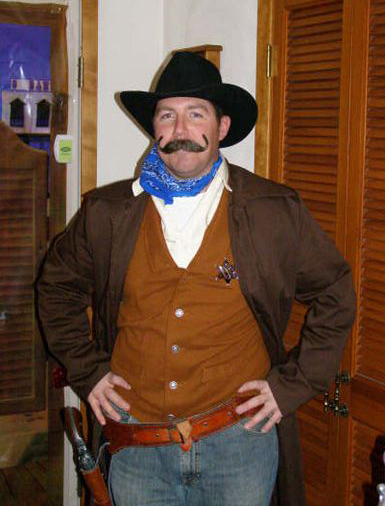 Sheriff Sam—Deadwood Sheriff. Although Sam is considered the law enforcement of this town, it has been said the only way to get anything ‘enforced’ is by padding Sam’s wallet. Marshal Dalton—Federal Marshal. 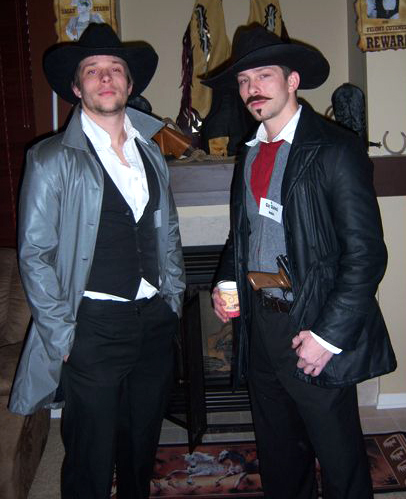 The Marshal was assigned to Deadwood to insure that there is no unlawful activity at the poker tournament. 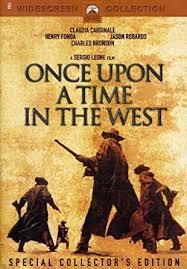 With outlaw rule becoming the way of the West these days, it is time the federal government put some order into place. Sally Starr—Saloon Girl. Because of Sally’s strong allegiance to both Harry and Henrietta High-Stakes, Sally will see to it that the saloon thrives at all costs—but what price is too high? 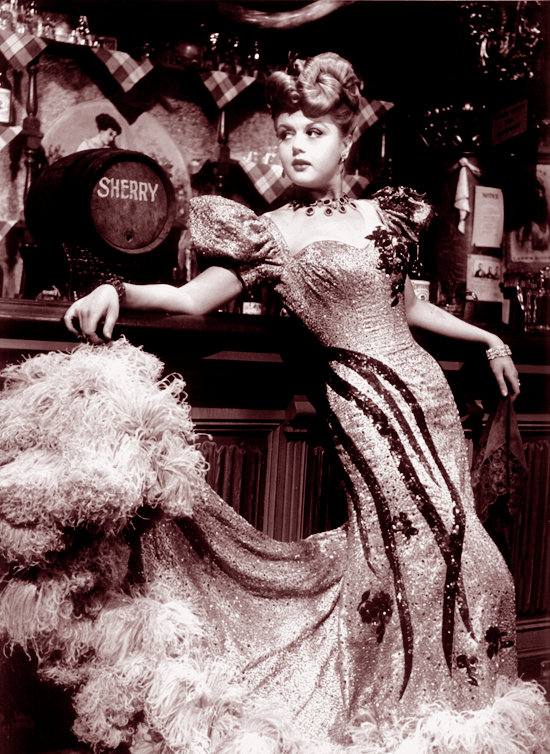 Taffy Garrette—Saloon Girl. Taffy is the eyes and ears of the saloon, someone who might know a little too much about what is about to go down. 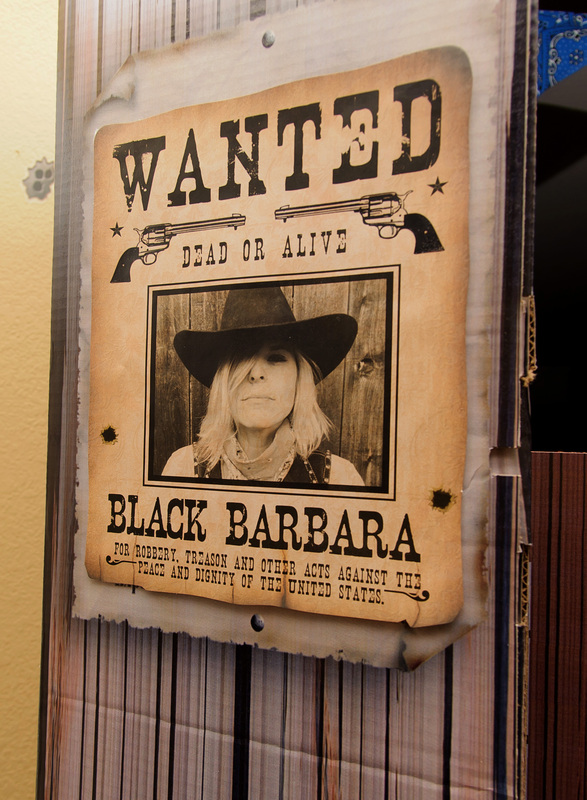 Black Barbara—Outlaw. Barbara has been in town all week and no one knows quite why. 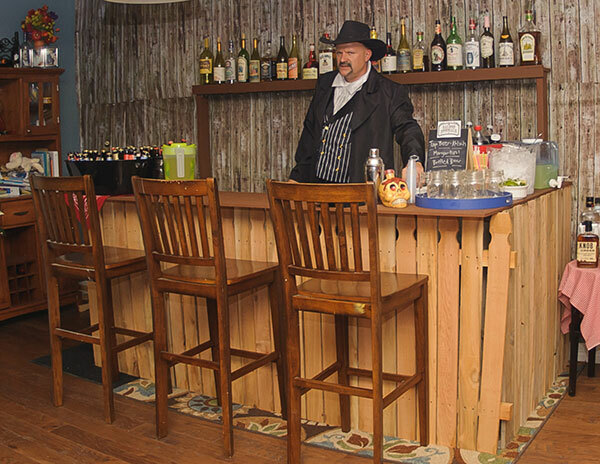 Billy-The-Bartender—Saloon Bartender and Bookkeeper. Billy knows the saloon life from every side of the coin and has his own suspicions about who is holding the saloon back from succeeding. 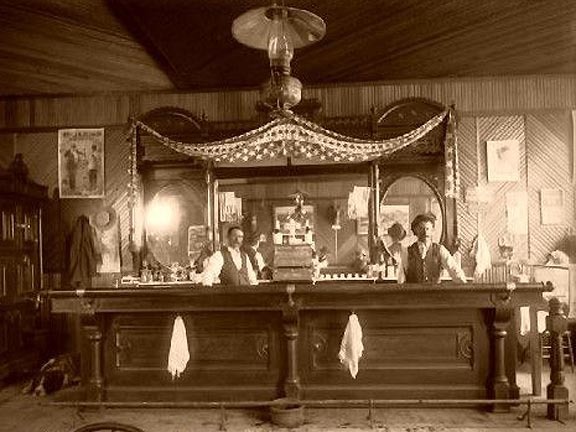 In those hard scrabble days, the whiskey served in many of the saloons was some pretty wicked stuff made with raw alcohol, burnt sugar and a little chewing tobacco. No wonder it took on such names as Tanglefoot, Forty-Rod, Tarantula Juice, Taos Lightning, Red Eye, and Coffin Varnish. 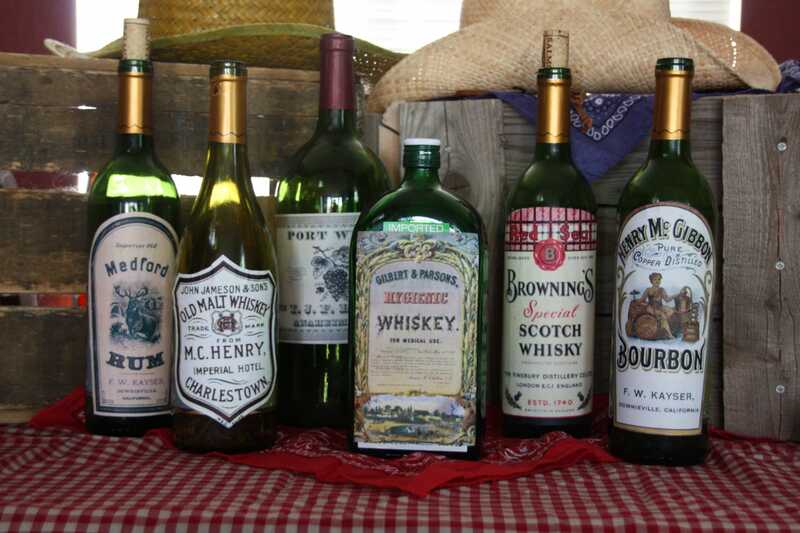 Also popular was Cactus Wine, made from a mix of tequila and peyote tea, and Mule Skinner, made with whiskey and blackberry liquor. The house rotgot was often 100 proof, though it was sometimes cut by the barkeep with turpentine, ammonia, gun powder or cayenne. The saloon or dance-hall girl’s job was to brighten the evenings of lonely men starved for female companionship. Contrary to what many might think, the saloon girl was not a prostitute. 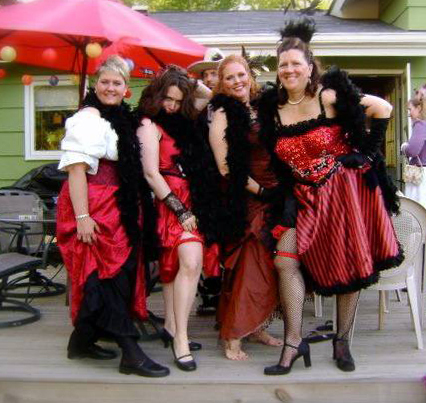 Their job was to entertain the guests, sing for them, dance with them, talk to them and perhaps flirt with them a bit – inducing them to remain in the bar, buying drinks and patronizing the games. Most girls were refugees from farms or mills, lured by posters and handbills advertising high wages, easy work, and fine clothing. Many were widows or needy women of good morals, forced to earn a living in an era that offered few means for women to do so. 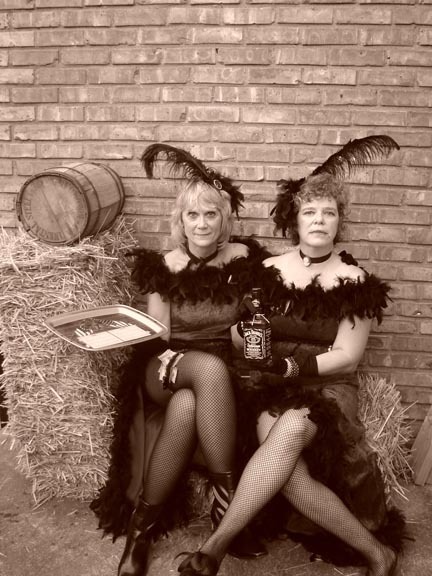 Earning as much as $10 per week, most saloon girls also made a commission from the drinks that they sold. Whiskey sold to the customer was marked up 30-60% over its wholesale price. Commonly drinks bought for the girls would only be cold tea or colored sugar water served in a shot glass; however, the customer was charged the full price of whiskey, which could range from ten to seventy-five cents a shot. In most places the proprieties of treating the saloon girls as ladies were strictly observed, as much because Western men tended to revere all women, as because the women or the saloon keeper demanded it. Any man who mistreated these women would quickly become a social outcast, and if he insulted one he would very likely be killed. 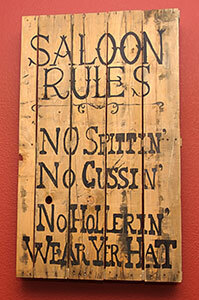 While they might have been scorned by the “proper” ladies, the saloon girl could count on respect from the males. 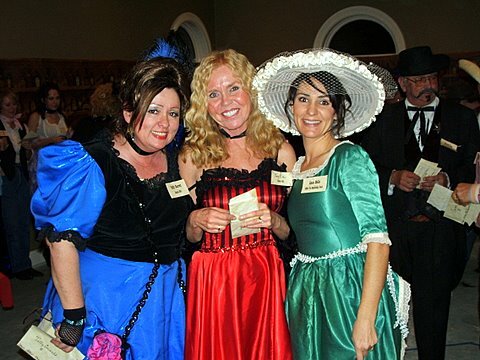 And as for the “respectable women,” the saloon girls were rarely interested in the opinions of the drab, hard-working women who set themselves up to judge them. In fact, they were hard pressed to understand why those women didn’t have sense enough to avoid working themselves to death by having babies, tending animals, and helping their husbands try to bring in a crop or tend the cattle. In the early California Gold Rush of 1849, dance halls began to appear and spread throughout the boomtowns. 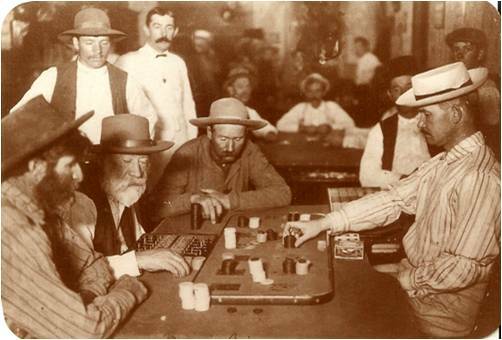 While these saloons usually offered games of chance, their chief attraction was dancing. 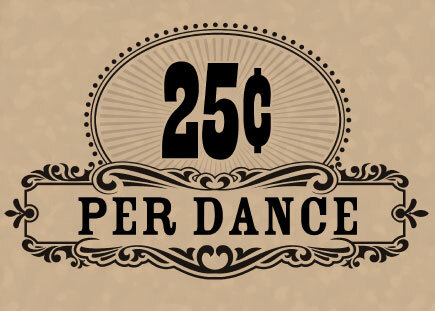 The customer generally paid 75¢ to $1.00 for a ticket to dance, with the proceeds being split between the dance hall girl and the saloon owner. After the dance, the girl would steer the gentleman to the bar, where she would make an additional commission from the sale of a drink. Click below for some period-friendly ideas on what to wear, how to accessorize, and more! Ideas on what to wear and how to accessorize! Check out these dresses and accessories! 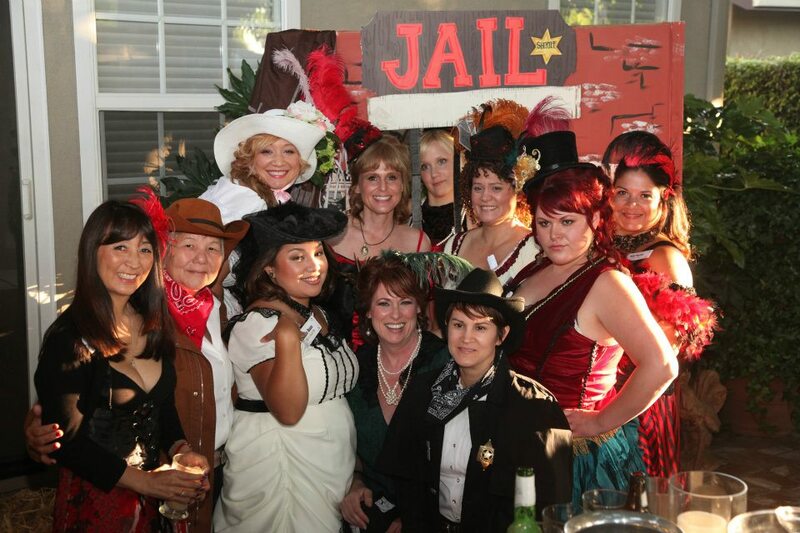 This theme is rich with imagery and iconic ways to make your party unique and like you just stepped out of the Wild West! • Place real hay bales outside the entrance. If you have a saddle, put them on or around the bales of hay. 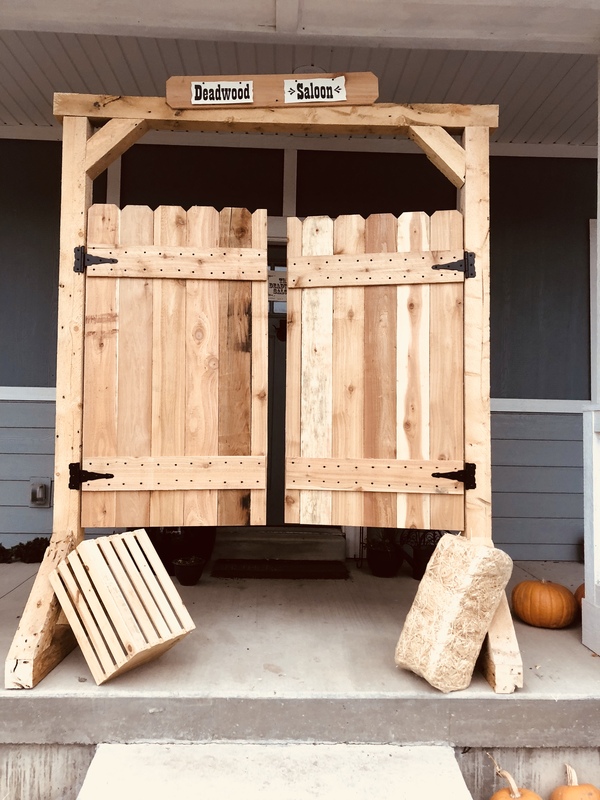 • Construct a hitching rail outside the venue and (if at all possible) a horse trough or tin bath equivalent will almost certainly result in someone getting a dunking before the saloon closes. 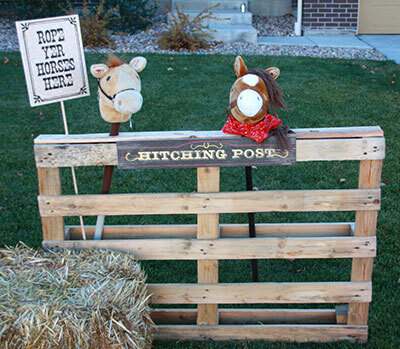 • Make a hitching post using a wooden palette and a sign (included with the mystery). 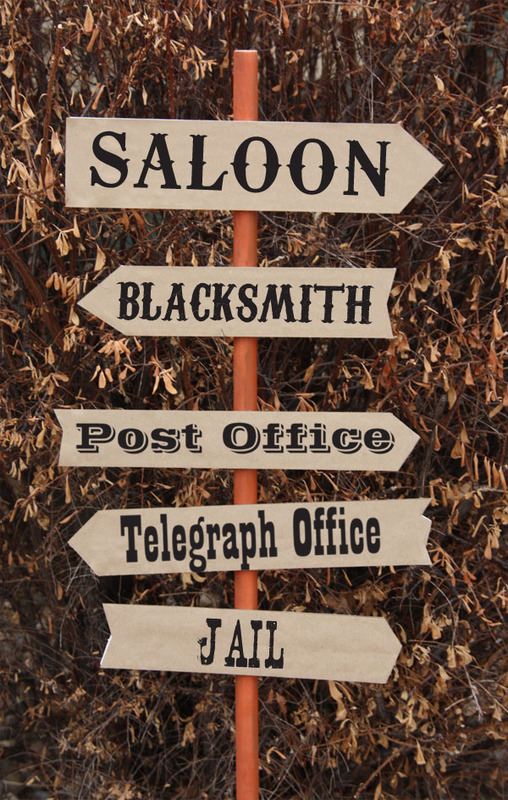 • Create a sign post with different directional signs. 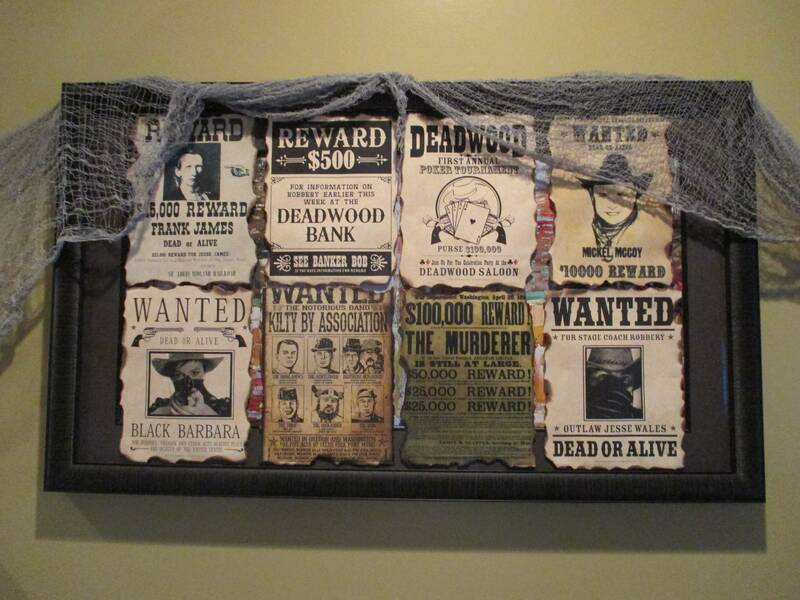 You can have signs pointing people to: The Bank of Deadwood, telegraph office, jail, stagecoach, etc. (There are directions and templates on how to do this with the mystery. 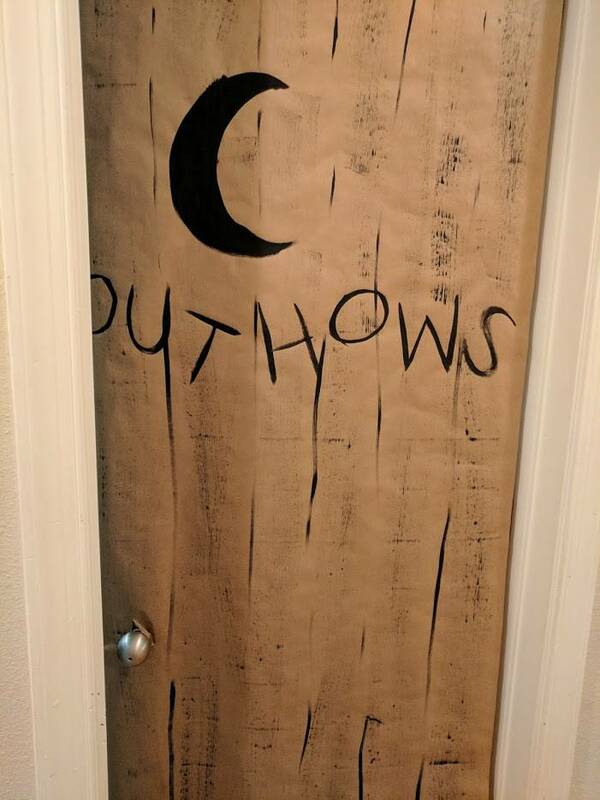 • OR, construct your own saloon doors. Find out how to do so here. • Not up for building? 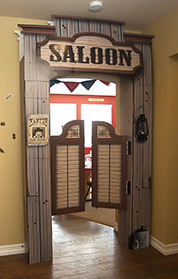 Order your saloon door here. 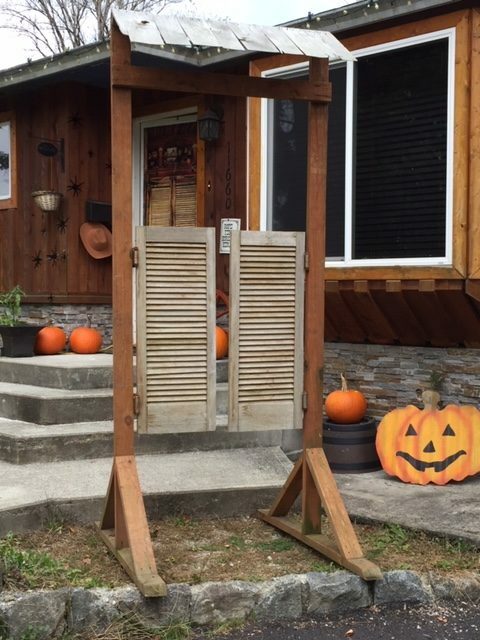 • Cut out cowboy and a cowgirl silhouettes and hang them on the windows. 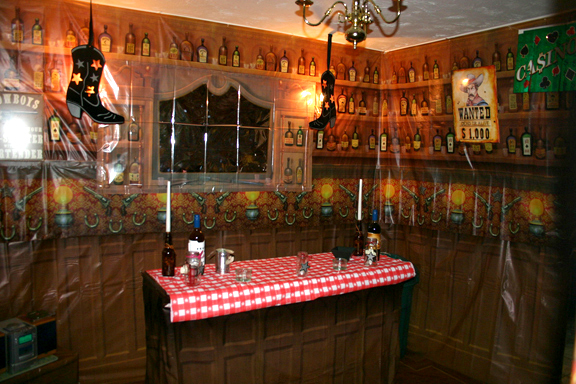 • Place oak barrels and/or growlers around the party space. 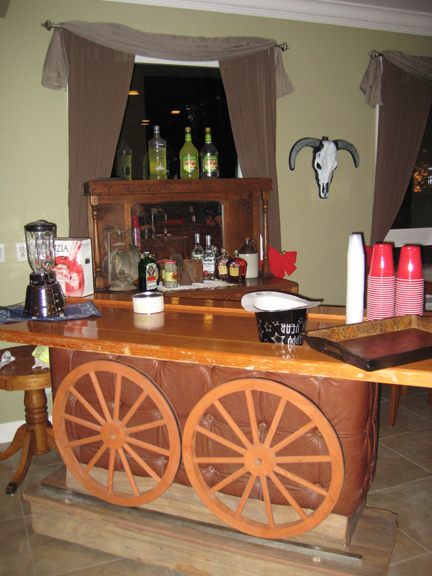 • Make a Saloon Bar out of a picket fence, 2 palettes for sides and a large piece of plywood for the top! 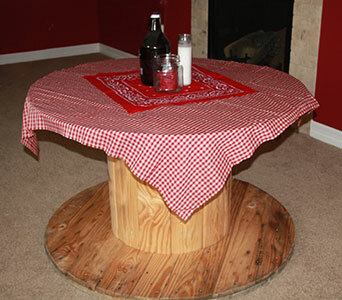 • If you can find/obtain large cable spools, use them for saloon tables! 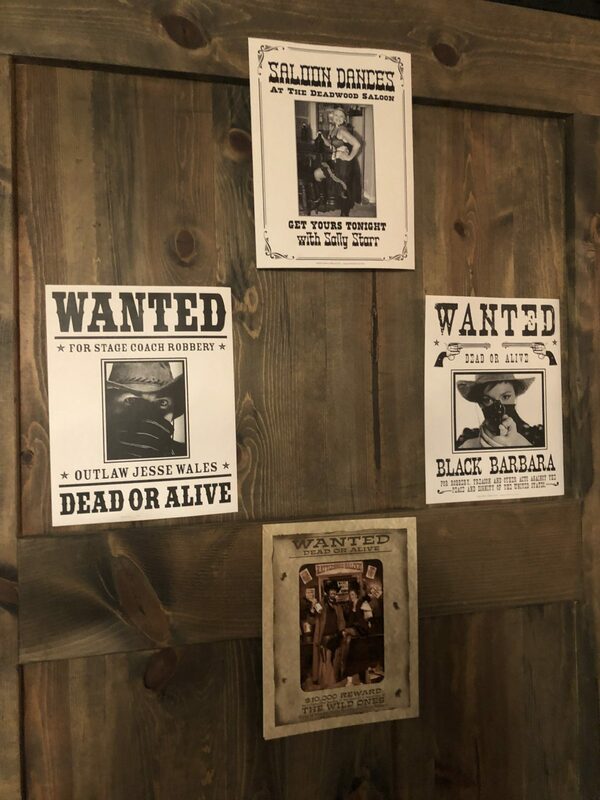 • Hang “wanted,” “reward” and other themed posters all over the walls. (These templates and two more included with mystery purchase. 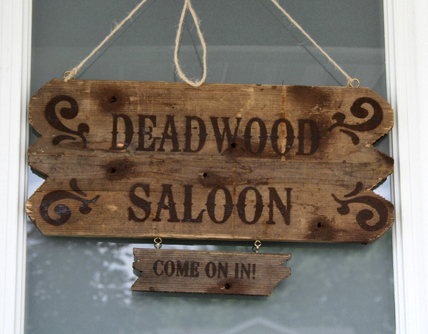 • OR, you can make your own saloon signs on wood! Simply cut a wood palette to the dimensions you want and paint your design on! • Don’t forget to give your guests a place to use the bathroom…. 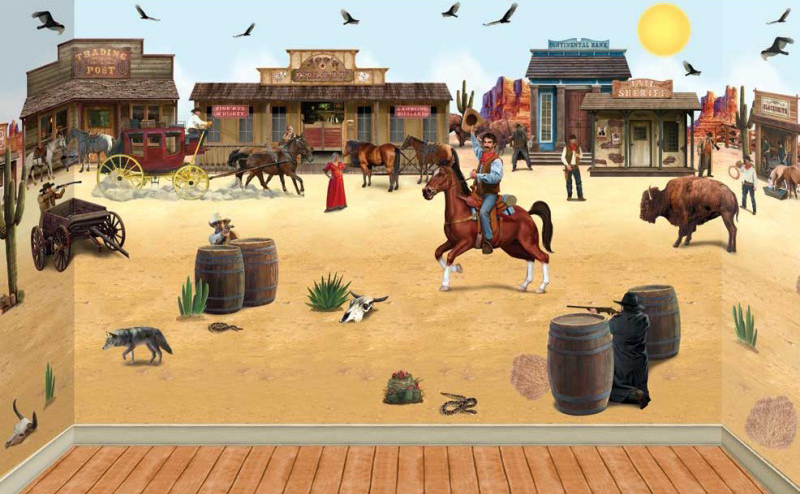 • Use scene setters to create your saloon wall or a western scene. • Bandanas, bandanas, bandanas! Order a plethora of bandanas and use them for everything! You can make banners out of them, use them as napkins, as apart of a table arrangement and/or runner, etc. The ideas are endless and having them handy will only aid in your decorating! Had them available for anyone who forgot a hat! 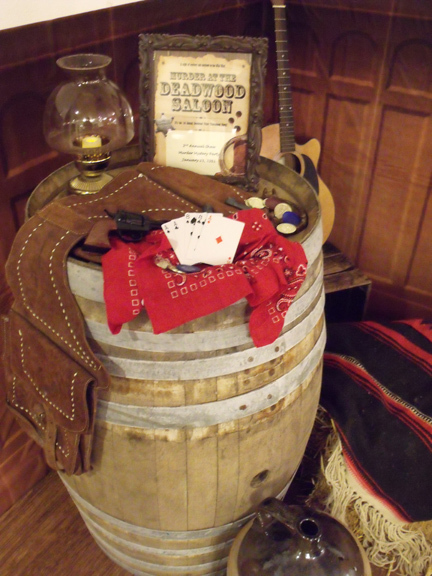 • Compile an assortment of western objects and create displays around the party venue. Place them somewhere where everyone will see them – by the food, place where you get your nametags, etc. 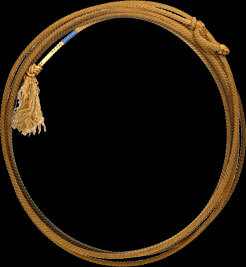 • Make lassos from thick rope and hang as garland. • Have small, tin buckets filled with peanuts. • Use bandanas as napkins. 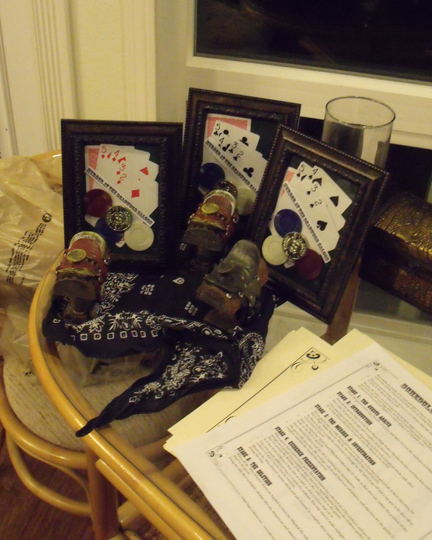 You can even use metal sheriff’s badges as napkin rings (pin one in the middle of each napkin). 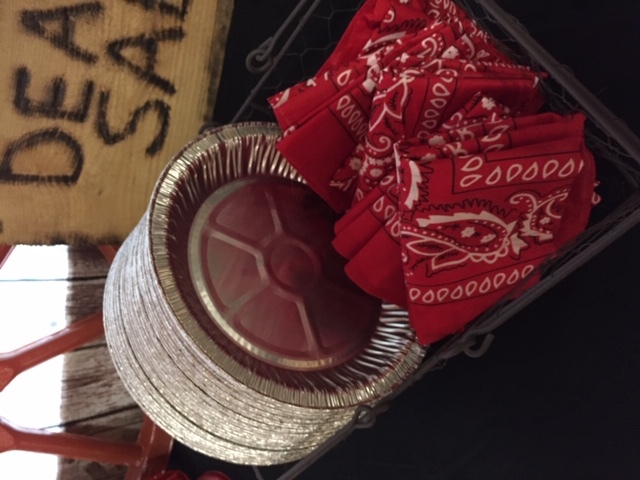 • Use a real cowboy hat, turned upside down and line with a check napkin to hold chips.You can place bowls inside the hats, too, if you are hesitant about napkins. • Place a small bowl in the top of a cowboy boot and fill it with salsa. Use boots of different sizes to give your salsa bar depth and variety. 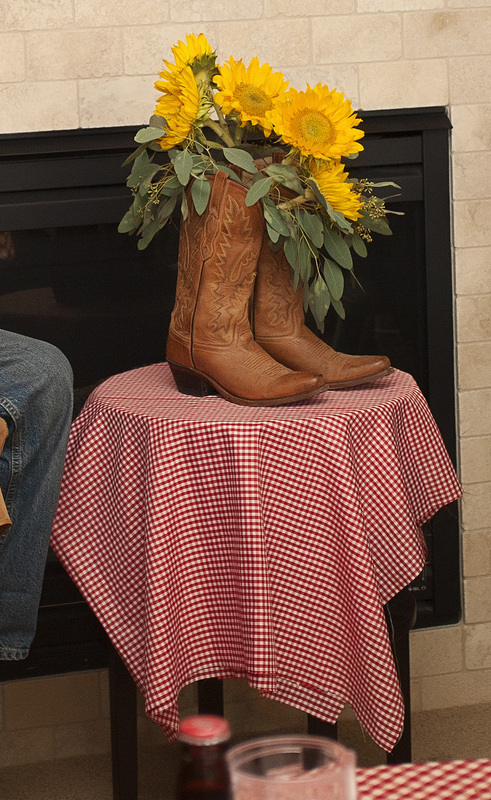 • Arrange bunches of wheat, daisies, sunflowers or wildflowers in cowboy boots, metal coffee pots or tin pitchers. 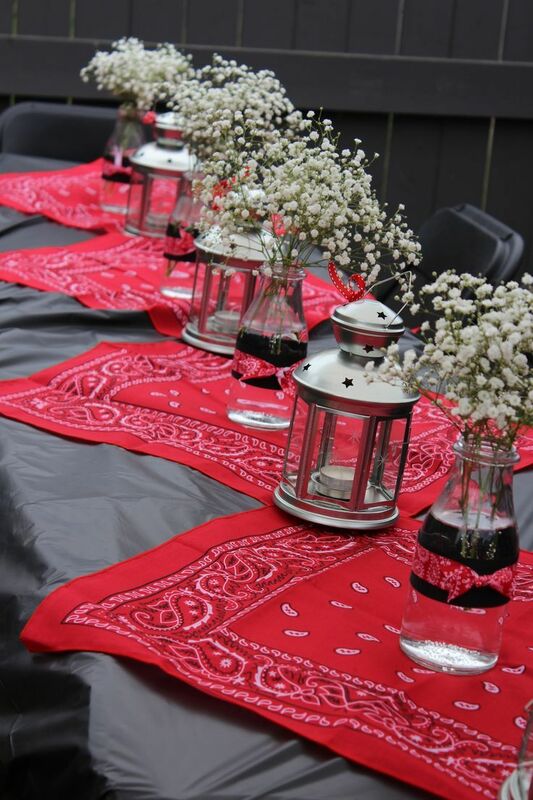 • Bring in camping or storm equipment such as oil lamps, lanterns and cooking pots to add to the theme. • Use potted cactii for your table centerpieces. 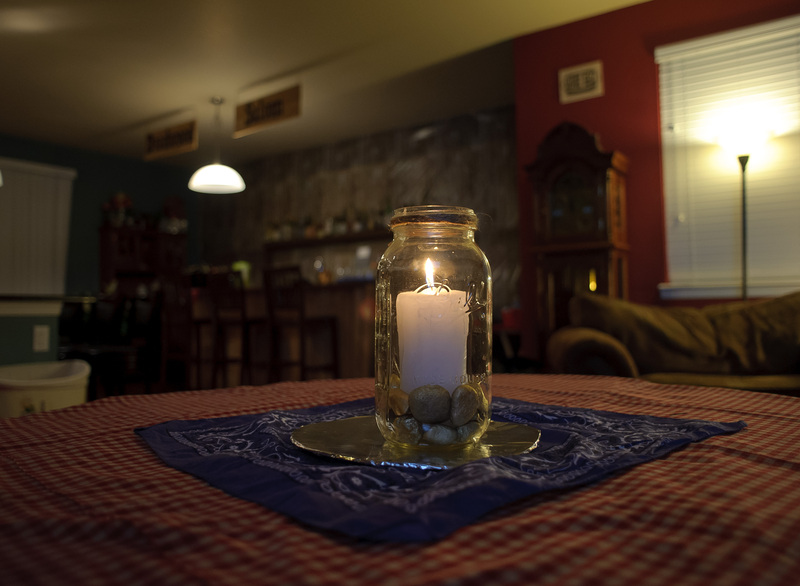 • Soak the labels off beer bottles and use bottles as candle holders. • Spray Paint rocks gold and use them to decorate. 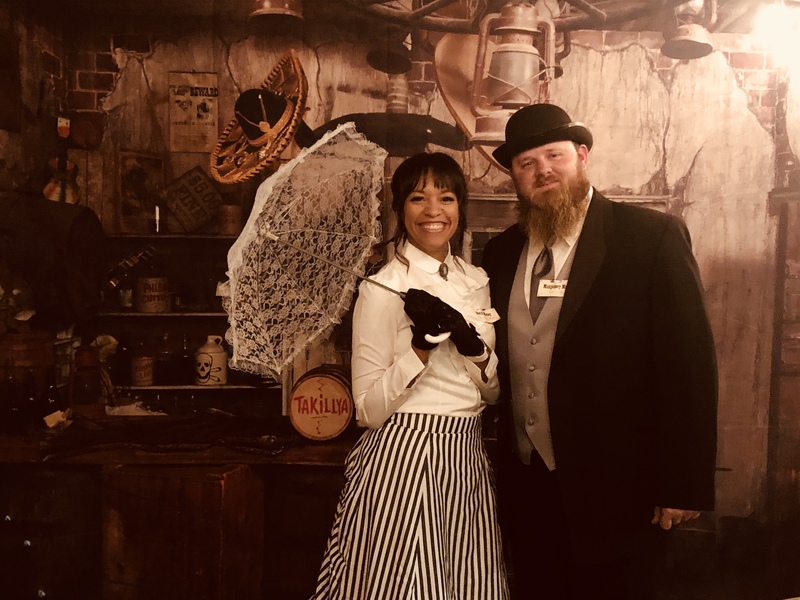 Check out some ideas for your perfect saloon snacks and music to set the mood for your Murder at The Deadwood Saloon party! 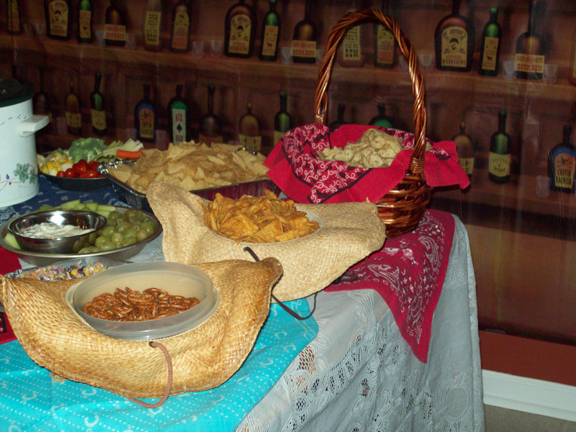 Snacks: beef jerky, pickles, licorice and old-fashioned, hard candy sticks are all authentic Old West snack foods. Trail mix and buffalo wings add a Wild West flavor to the appetizer menu. Main Vittles: cowboy stew, pork ribs, steak, brisket, chicken fried steak, barbecue ribs, roast, chili, Virginia ham and buffalo steaks or burgers. 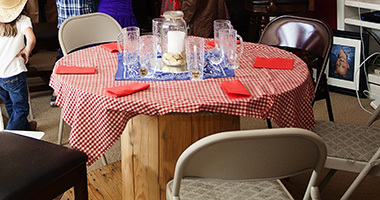 Teens may enjoy sloppy joes and/or roasting hot dogs over a campfire. Side Kicks: potato salad, cowboy potatoes, corn fritters and cowboy beans (slow-cooked barbecued beans topped with bacon and pineapple). Sopping Material: corn bread, baking powder or sour dough biscuits. Real butter adds a nice touch. 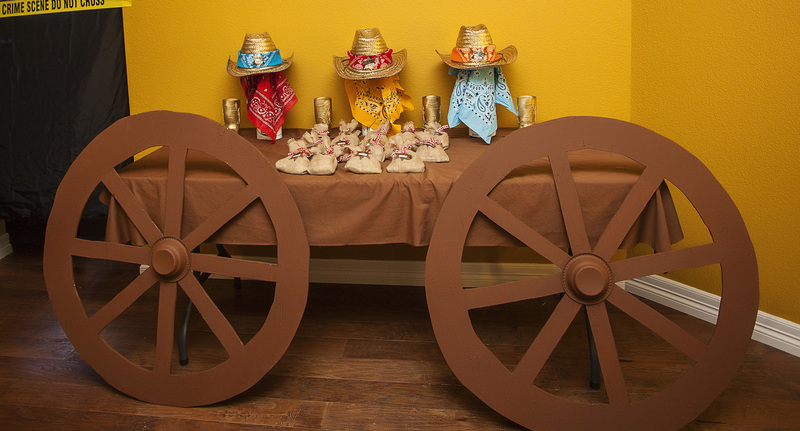 Cowboy Sweets: Wild West dessert menus may feature Old West favorites that are still big hits today, such as berry pie, apple pie, pumpkin pie (for autumn parties) and strawberry shortcakes (for summer parties) made with sweet biscuits and topped with real whipped cream. 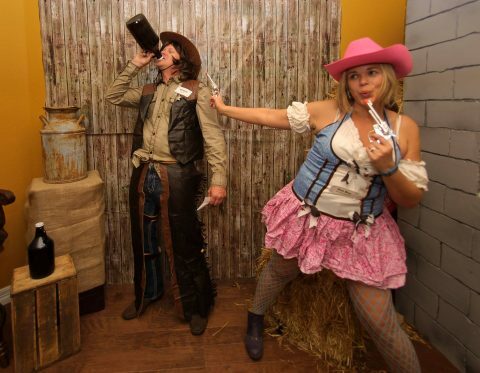 Belly Wash: Whiskey-infused drinks, margaritas, beer and/or Wild Wild West Cocktail (bourbon, peach schnapps and cranberry juice) for your saloon specials. 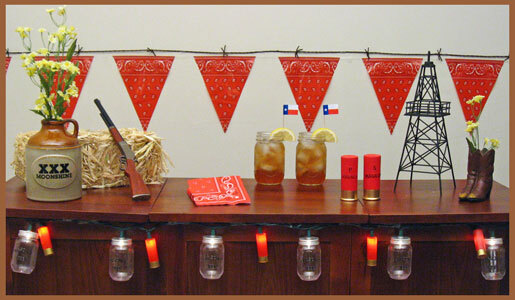 Non-alcoholic drinks popular with the times: cowboy coffee, tea, apple juice, lemonade, root beer (sasparilla) and cactus juice. 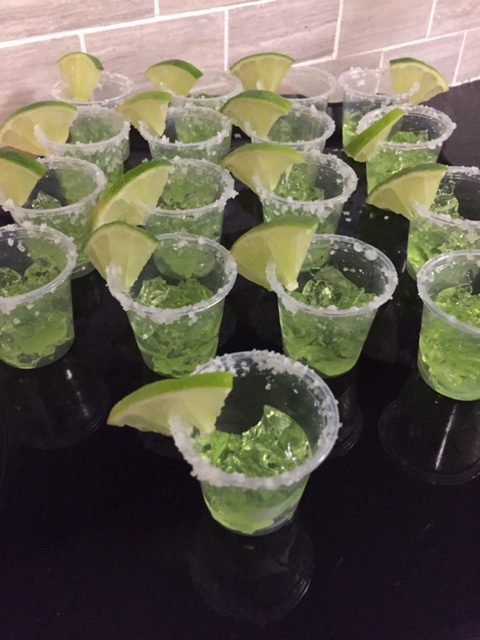 To make cactus juice, pour cold lemon lime soda into a punch bowl and add lime sherbet. Follow these links below to help you create the food you wish to serve. 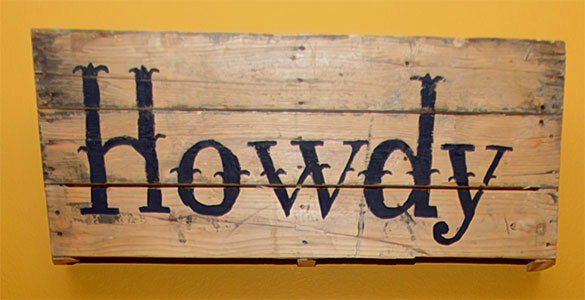 Cowboy Showcase– Check out this complete western recipe resource. Chuckwagon Recipes– The Old West’s cooking at it’s finest. 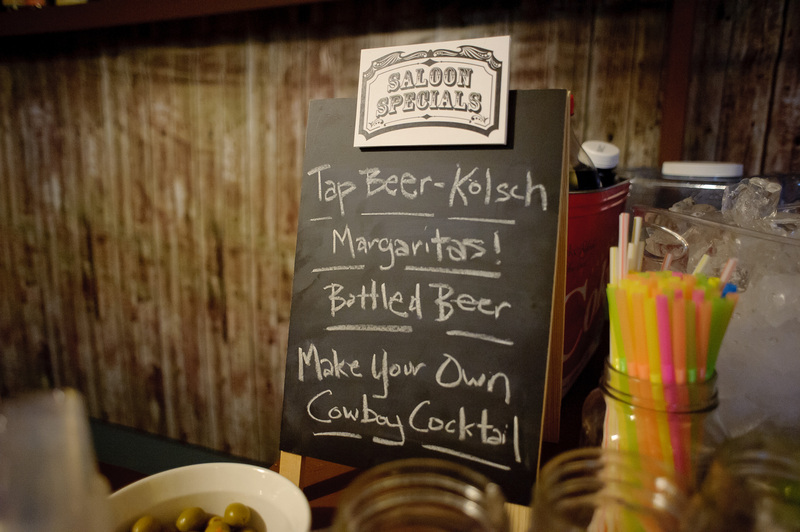 Find recipes, templates and directions to make all the western goodies pictured above easily and affordably when you buy Murder At The Deadwood Saloon. 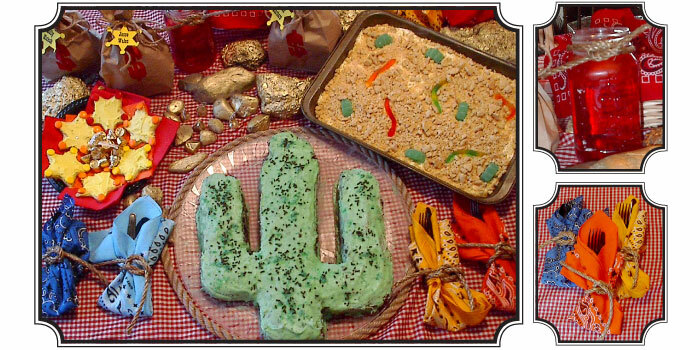 Includes: Ideas, directions and templates on how to make gold, money bags, bandana napkins, more elaborate nametags and recipes for Cowgirl Cocktails, On-The-Trail Cheesedip, Cowboy Chili, Desert Dessert, Cactus Cake and Sheriff Badge Cookies… and much, much more. 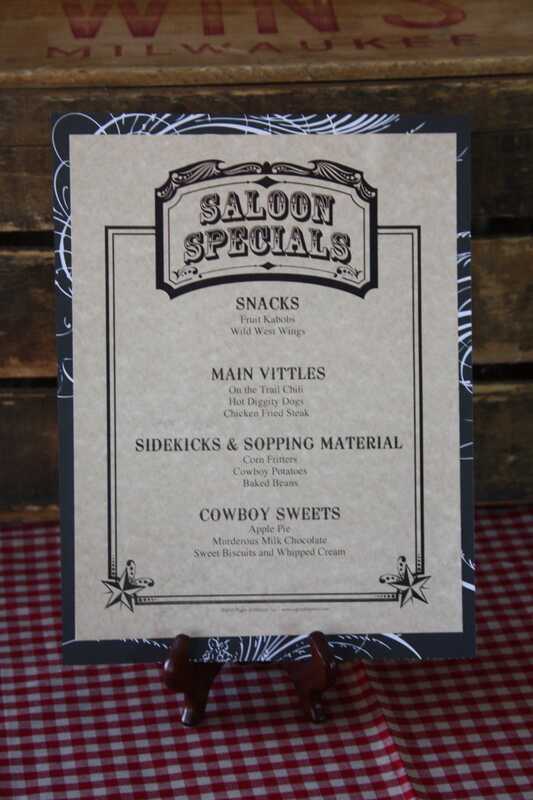 MENU: Along with purchase of the mystery, you will receive a designed menu that you can customize with YOUR own appetizers, entrees and desserts that you will be serving at your Deadwood Saloon party! 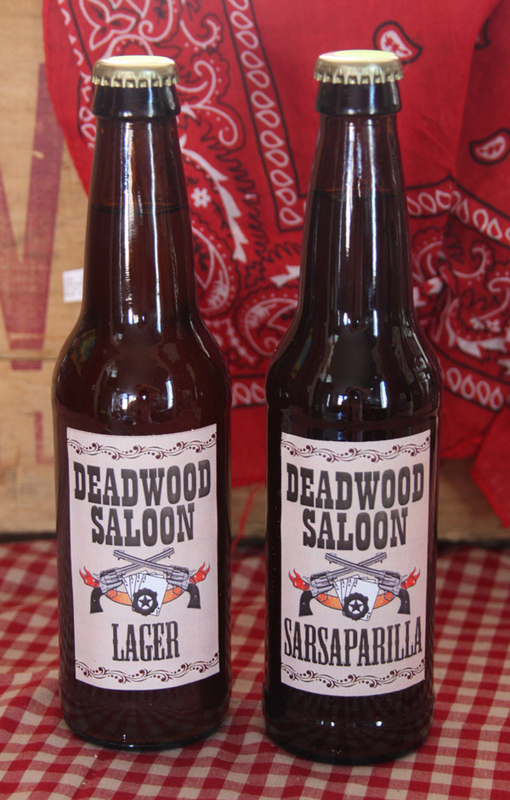 BEER/SARSAPARILLA: Serve up these Saloon favorites with their own, branded labels. (Label designs included with purchase. Pictured above.) Just adhere to the bottles and woohla! Tips for serving up your food! 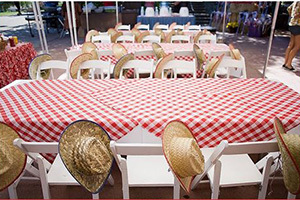 • Purchase red gingham or burlap to use as tablecloths, table runners, etc. 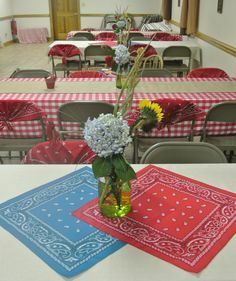 • Use bandanas or burlap for napkins. • Have mason jars for your guests to drink from. 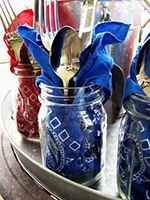 • Serve bottled and canned beverages from old tin tubs. • Give your food western names — Cowboy Chili, Old West Wings, Get Along Little Doggies (cocktail weiners),etc. 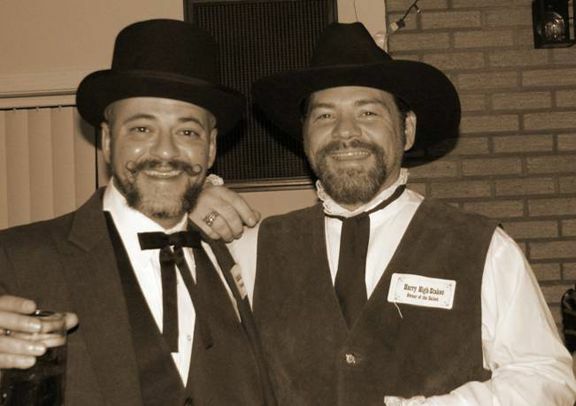 Saloon Music– Find some authentic tunes from the old west to play at your party. Find it here. 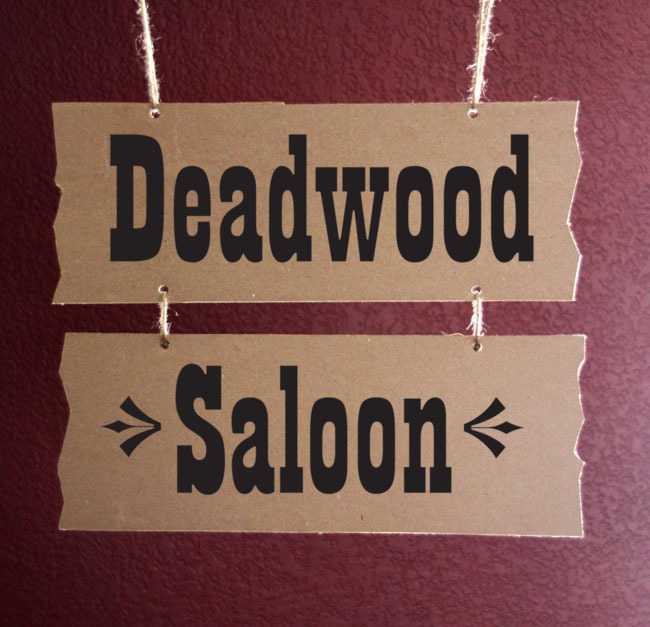 Saloon Music– We downloaded an album from Sqeek Steale on iTunes for some good saloon piano music! Cowboy Music– You can stream music from this internet station. 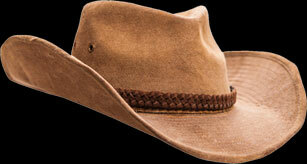 Cowboy Music– Play real cowboy music by the original western sweethearts Roy Rogers and Dale Evans. Find it here. Other classic country artists— Patsy Cline, Johnny Cash, Loretta Lynn, George Jones, June Carter Cash, Willie Nelson and Waylon Jennings are a few suggestions. For Free Music– Visit your local library for a number of compilations from the time. 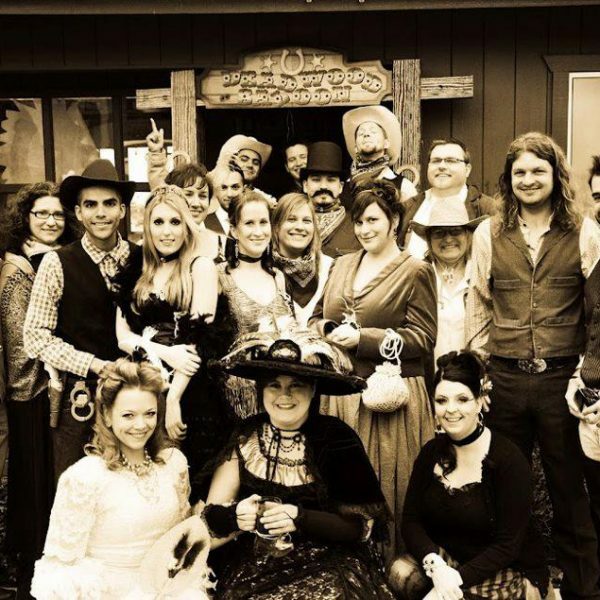 Tips and information on how to make your Murder at The Deadwood Saloon party the rootin', tootin' -ist party this side of the Mississippi -- no matter what side of the Mississippi that is! How to Win A FREE Party! • Print all of your materials out on parchment, craft paper, or newsprint for an “old” effect. • Stain materials with coffee or tea to make them appear aged. • Burn the edges of the materials. • Use a wax seal when sealing things like invitations, objective envelopes, the solution, etc. • Print out the Deadwood Gazette on parchment and have it hanging. 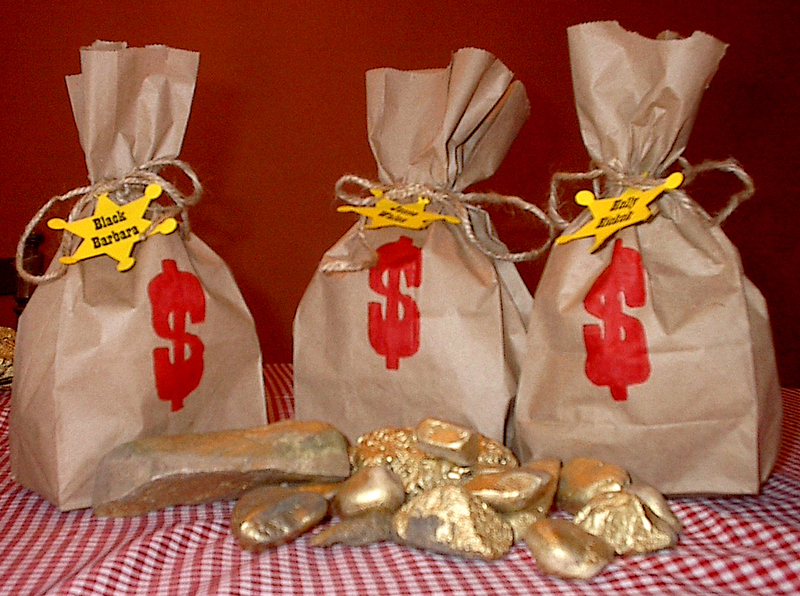 • Spray paint small rocks gold and have your guests use that as their “money” for the night. Provide a small leather pouch for them to carry it in. 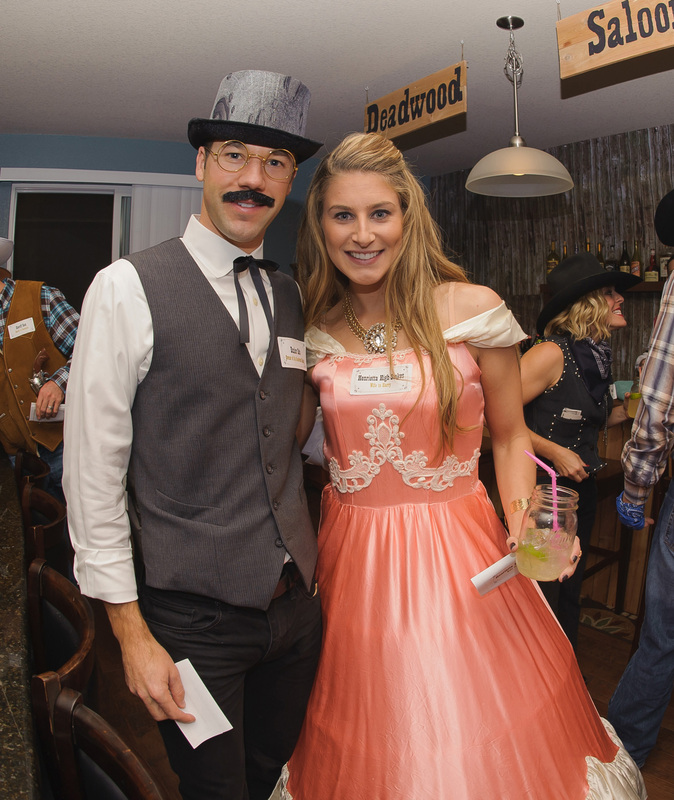 Provide an assortment of accessories to help your guests “get into character” including: cowboy/girl hats, pistols, feather boas, mustaches, bandanas, etc. — Consider your character list and which character would fit the role of taking the picture. Ie, if you want mug shots, perhaps ask the investigator to be in charge of taking the pictures. — These are two times when you can count on everyone being around and attentive. 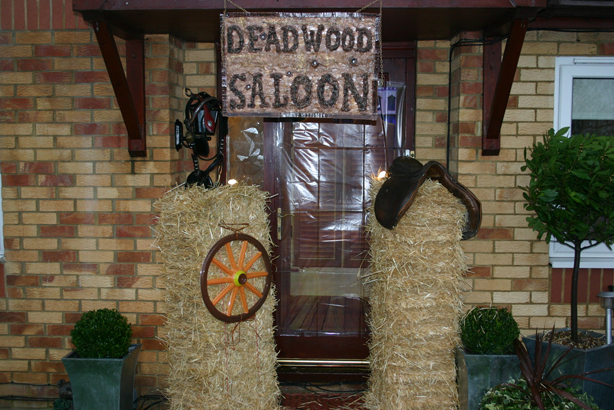 Build a saloon to pose in front of! 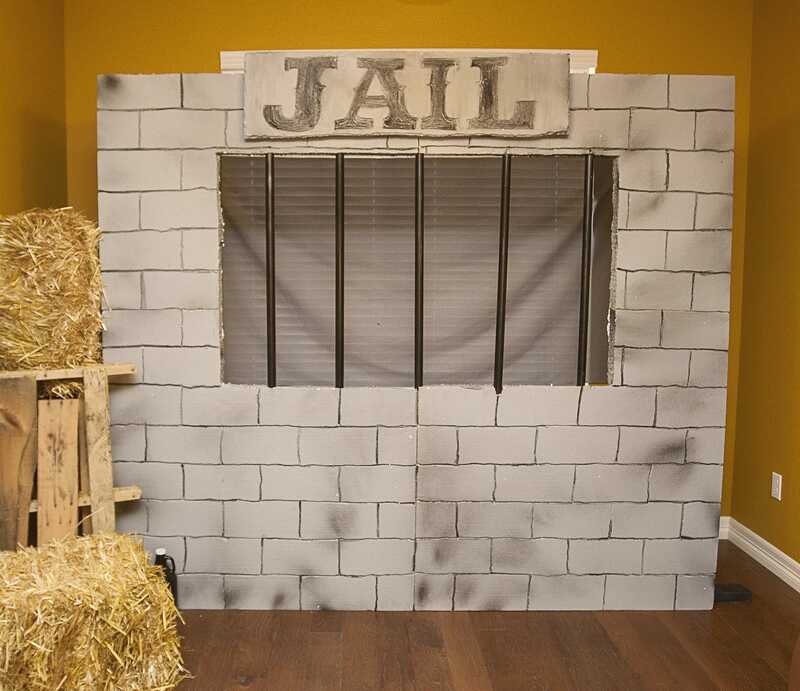 Create a jail for a backdrop using directions in mystery. Decorate a corner with old crates, whiskey barrels, hay bales, etc. 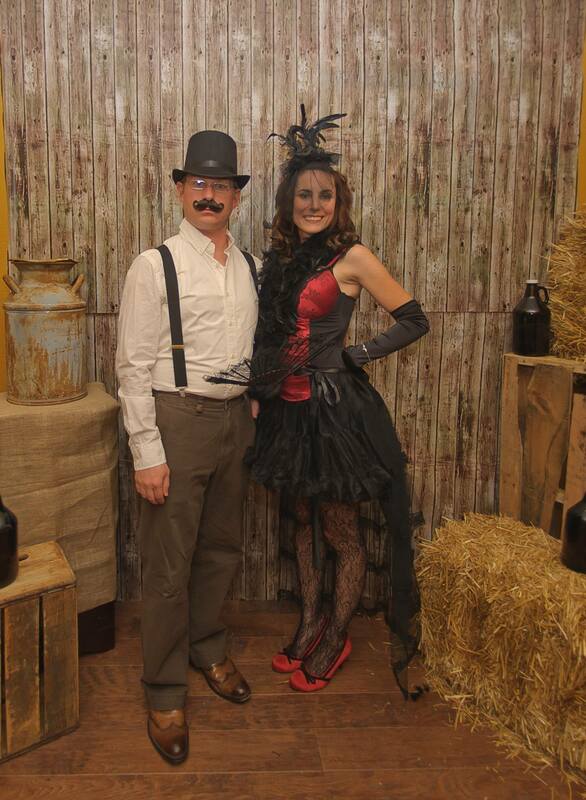 Paint a backdrop for your guests to pose in front of. 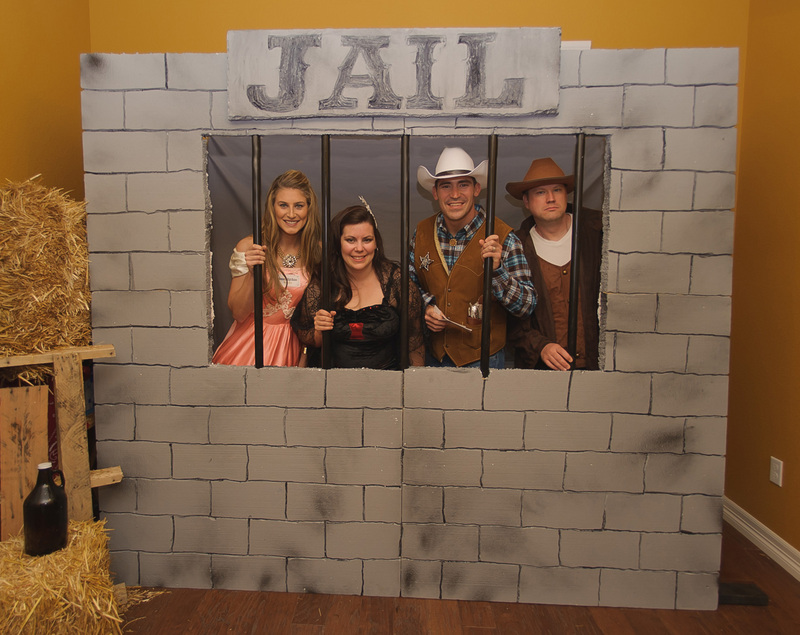 Use a scene setter against a wall to create a backdrop. 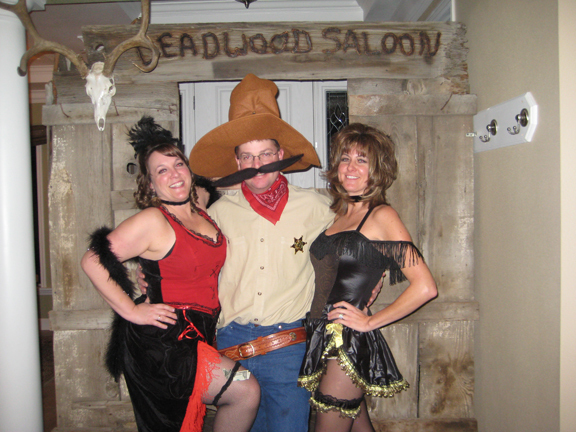 Have additional props for posing in pictures (cowboy/girl hats, feather boas, pistols, wanted signs, bandanas, etc.). 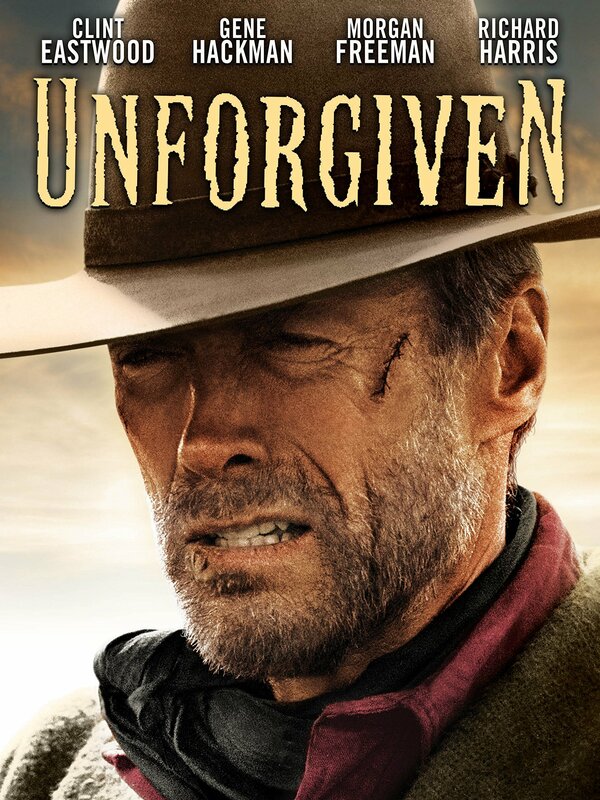 Check out some of these movies and shows: Maverick, The Good, the Bad and the Ugly, The Magnificent Seven, The Wild Bunch, Once Upon a Time in the West, Deadwood (HBO tv series) or check out this complete movie list. 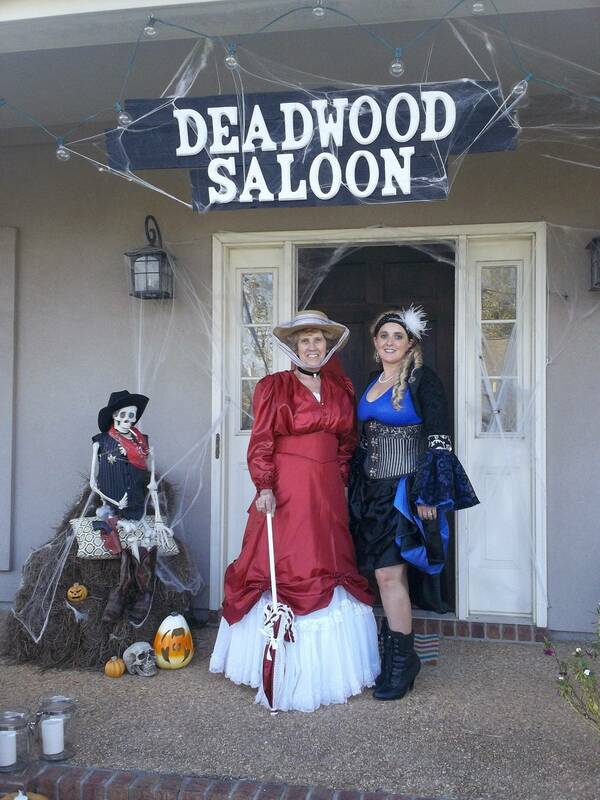 For even more party planning ideas, check out our Murder At The Deadwood Saloon Pinterest Board here. 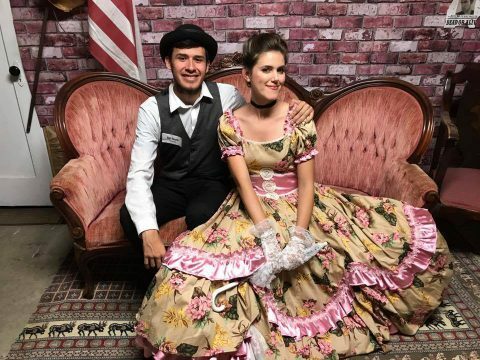 All of the information regarding how to run your Murder at The Deadwood Saloon party can be found online at Night of Mystery. 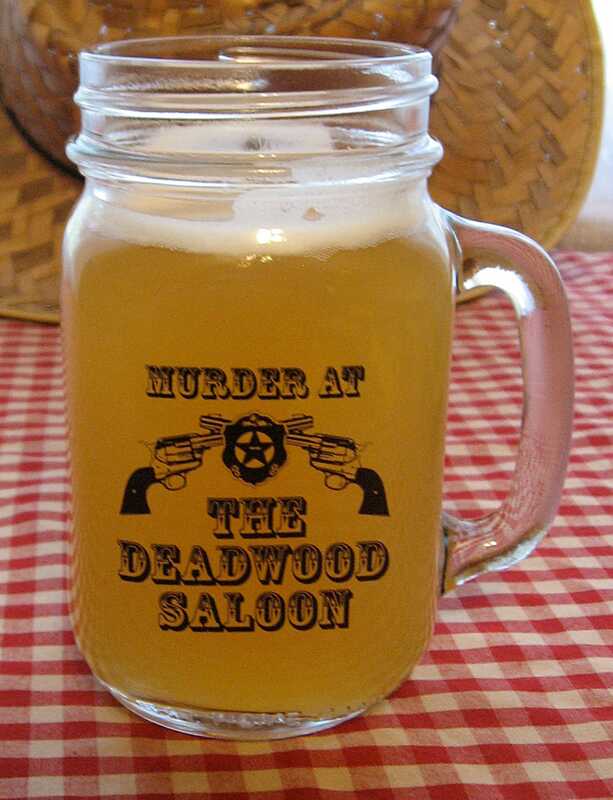 We highly suggest that you take time to look over our website and download the Murder at The Deadwood Saloon preview file. Upon reading the introduction file, it will give you a better understanding about how the parties are run and what to expect once you purchase a full mystery file. 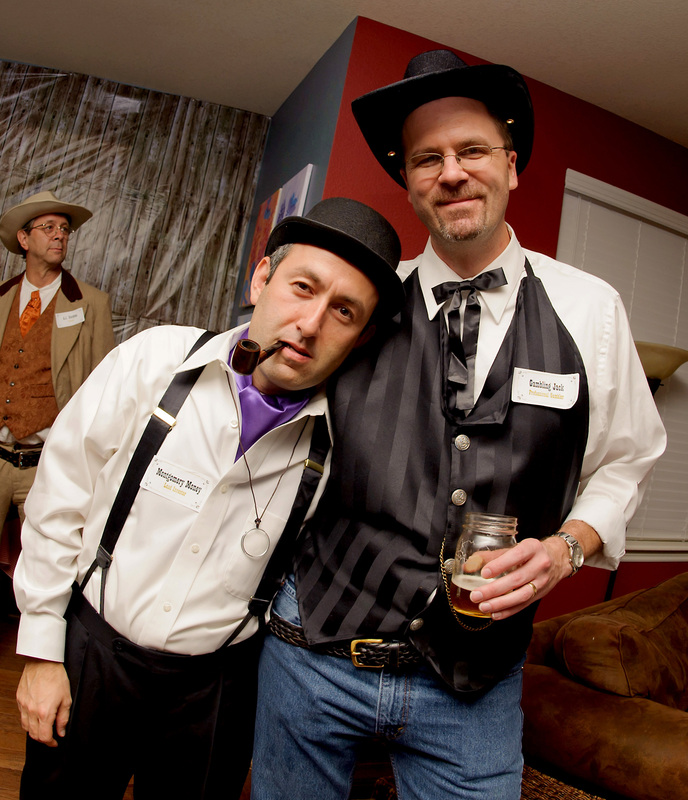 Check out this well-thought out blog on "How to host a mystery." 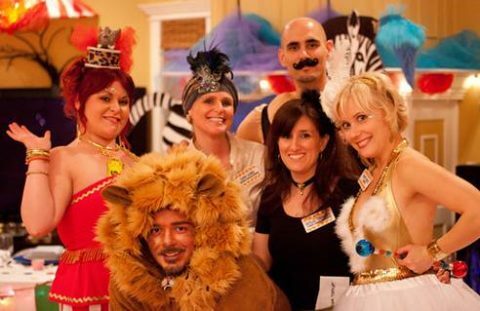 Additionally, you can always look online at our galleries for picture references OR our Party of the Month Blogs to see what other hosts and hostesses have done for their parties and learn from their experience. 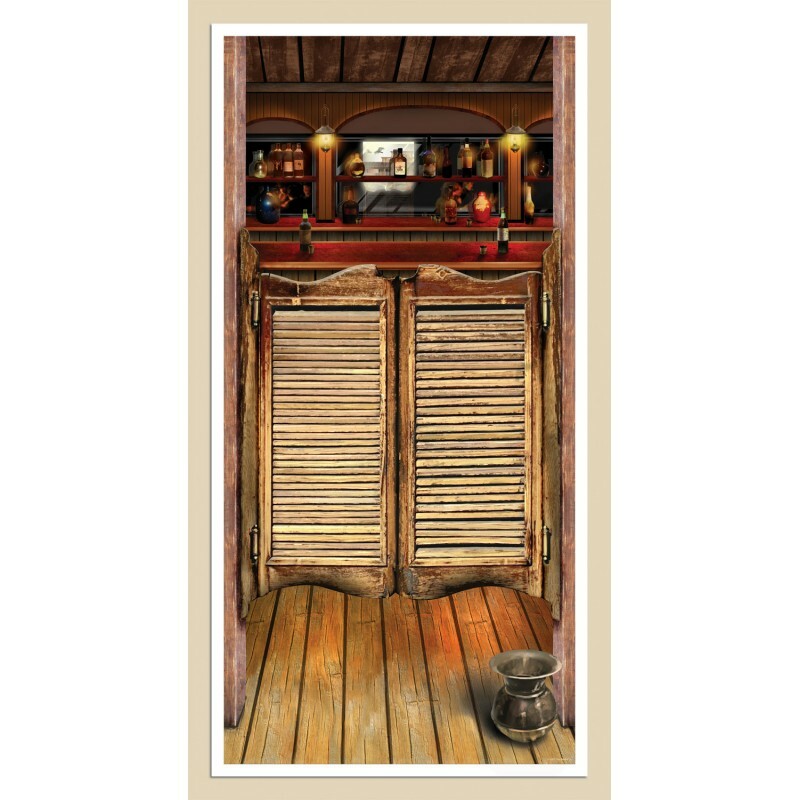 Along with those tips, you can check out this blog post on how we created our own saloon decor. 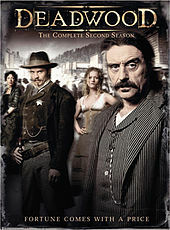 Check out our Murder at The Deadwood Saloon Pinterest Board! 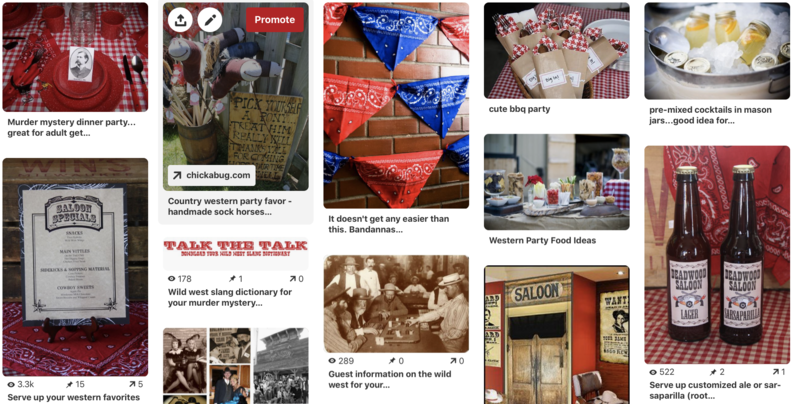 For even more party planning ideas, check out our Murder at The Deadwood Saloon Pinterest Board here. It is s filled with ideas for recipes, costumes, decorations, etc. 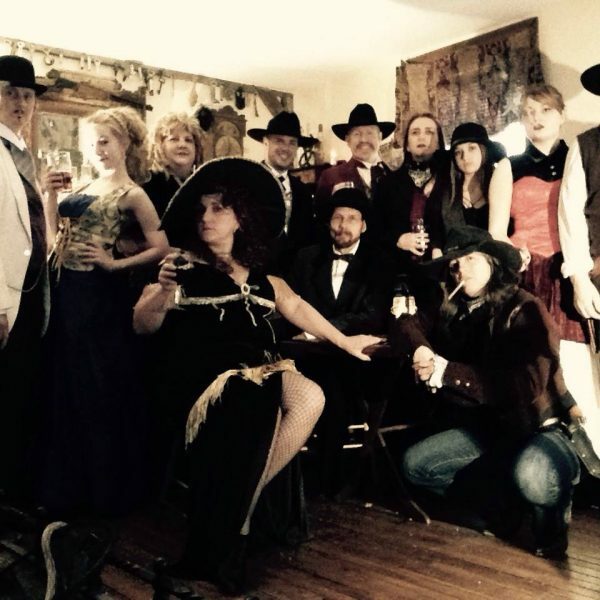 for the perfect Murder at The Deadwood Saloon! 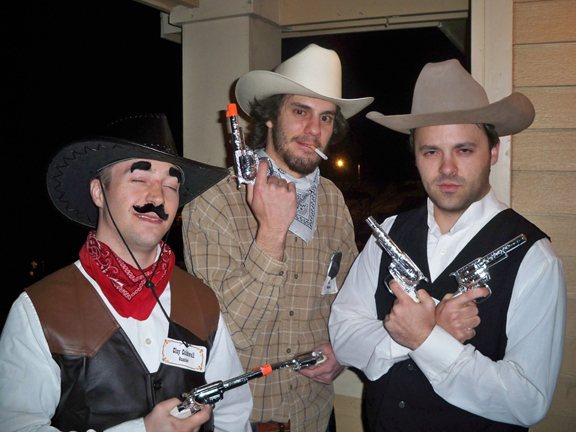 Provide an assortment of accessories to help your guests "get into character" including: cigars, cowboy hats, boas, beads, headbands & feathers, bowler hats, eyelashes, moustaches & sideburns for disguise and water pistols for self defense. 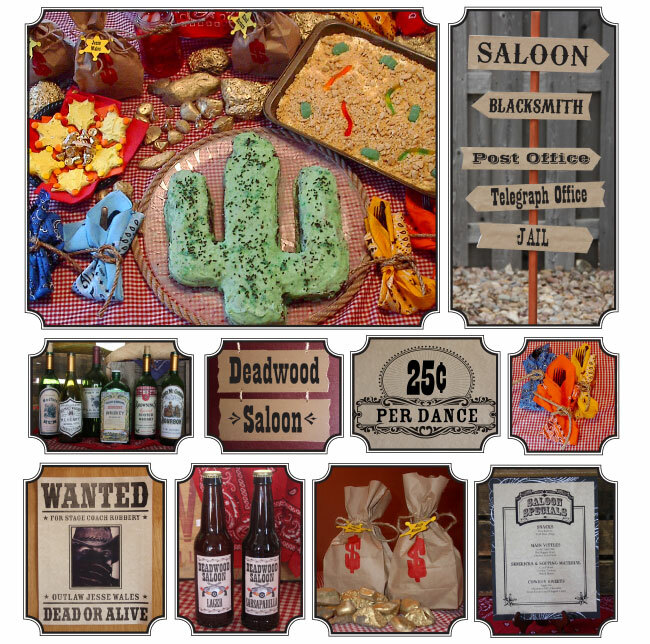 Ideas, directions and templates on how to make WANTED, Reward and Tournament posters, saloon signs, beer & sarsaparilla (root beer) labels, a personalized menu, gold, money bags, bandana napkins, more elaborate nametags and recipes for various western-themed foods, and more!!! 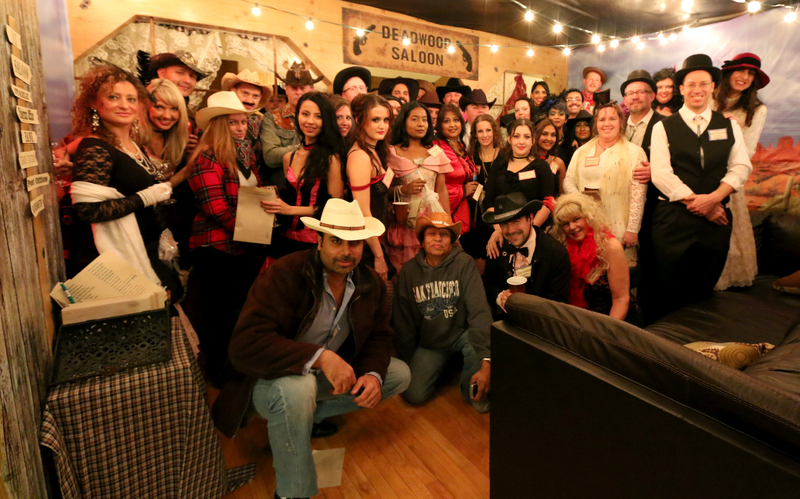 I bought the Murder at Deadwood Saloon for 20 to 80 people. 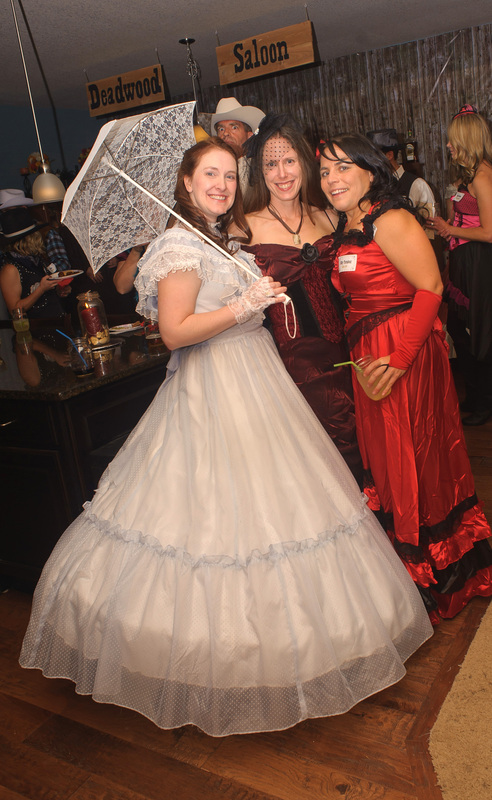 Having thrown a few mystery parties in the past I have to say this was much more detailed. Friends loved that they got some character info before hand. The only problem I had was I didn’t plan accordingly for the timing on the actual Murder. I hosted it outside in daylight and we were instructed for the lights to go out! Well we made it work! And it was still a blast!! Must read the host info carefully on prepping and what to do next. And there is a lot of printing to keep in order for a big crowd . But very throughout! 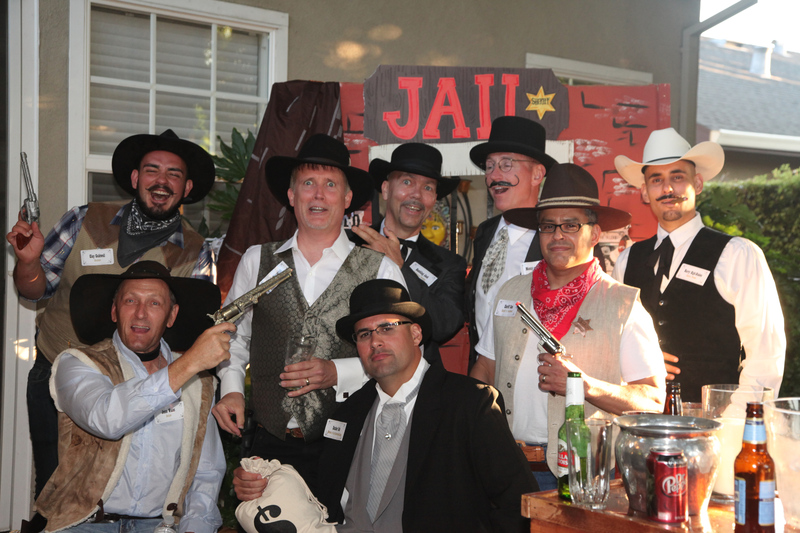 Everyone dressed the part so perfectly! Can’t wait to do the next one! 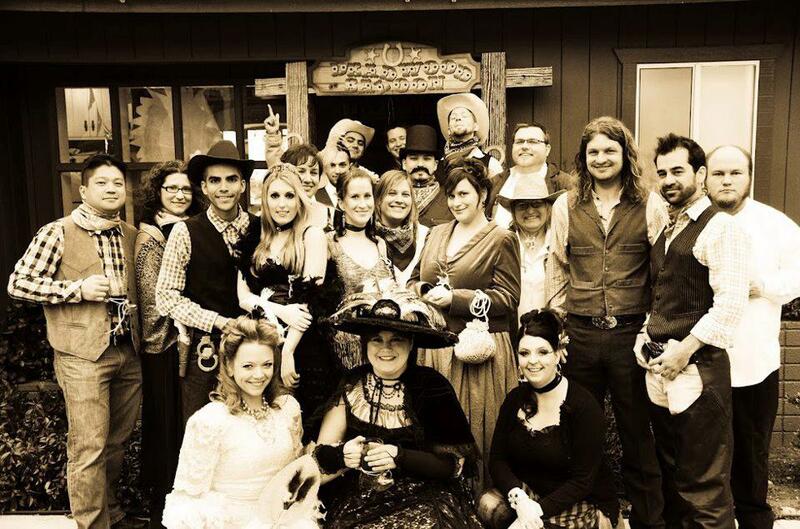 I have played/hosted both Murder at the Juice Joint and Deadwood Saloon and had a grand time for both experiences. 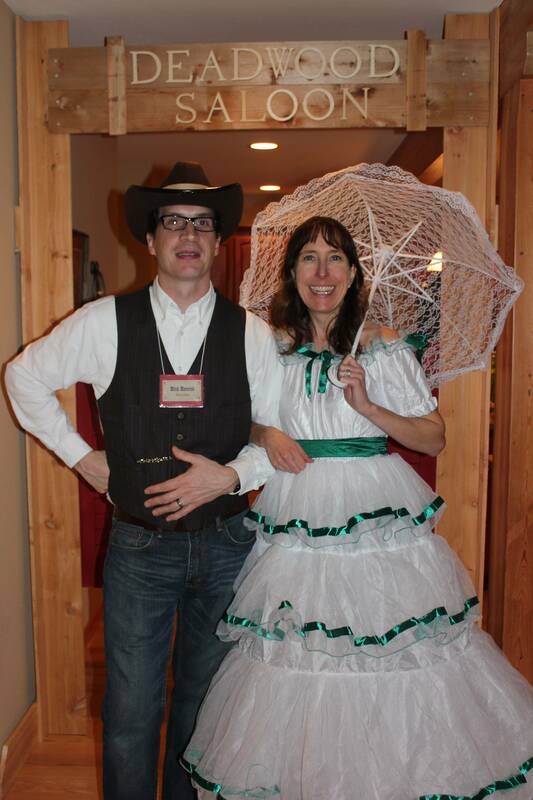 The murder mysteries are well-written, the characters are memorable, and myself and my guests both enjoyed dressing up, acting the part, and learning new things from each other through the experience. Night of Mystery is also unique in that no one knows the murderer until half way through; it's also nice being provided with clear objectives each player must meet during both halves of the game and still having room to improv and interact with different characters. The research and resources provided are also great. Always a memorable time. 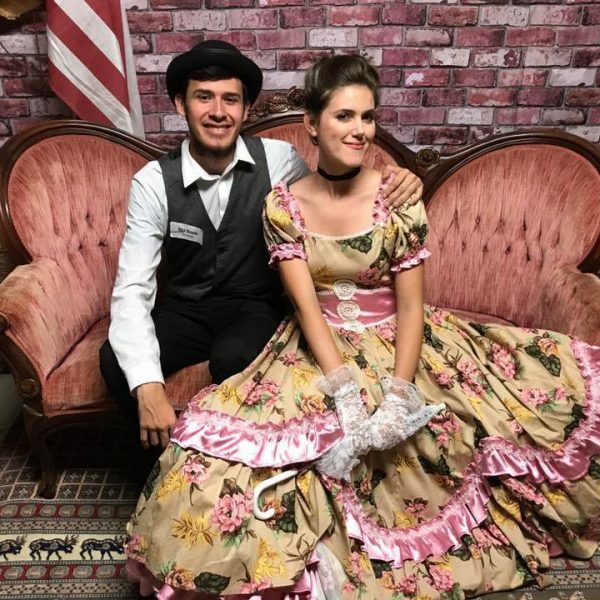 I threw a "Deadwood Saloon" murder mystery party for high school kids. I am a teacher at a school for students with diagnosed learning disabilities. Most of them have diagnoses such as dyslexia, ADD, language processing disorder, etc. I helped them to understand their roles and the scenario. My group of teenagers love to role play and use their imaginations! 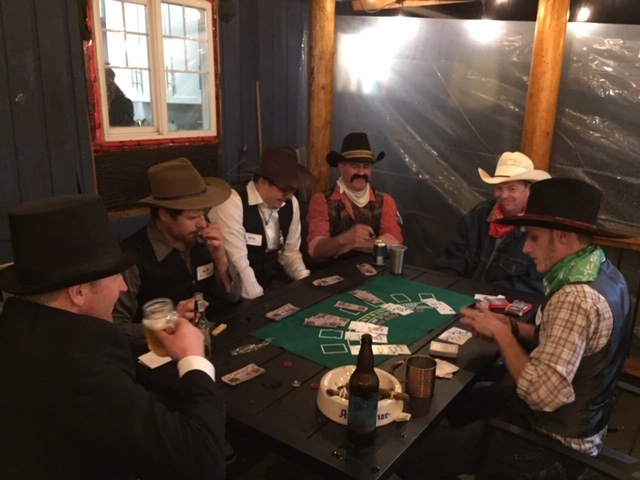 During the party, they played card games and we had saloon music on. 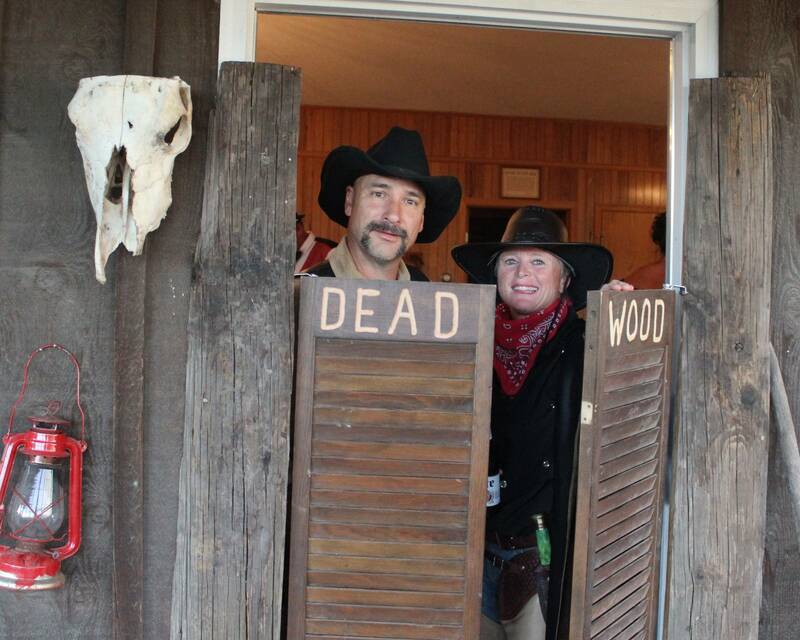 We really transformed the high school into a Western Saloon. Students wore bandanas, hats, and boots. This game was a fun way for them to use their planning skills and social skills. They still talk about that party and we will definitely be doing it again! 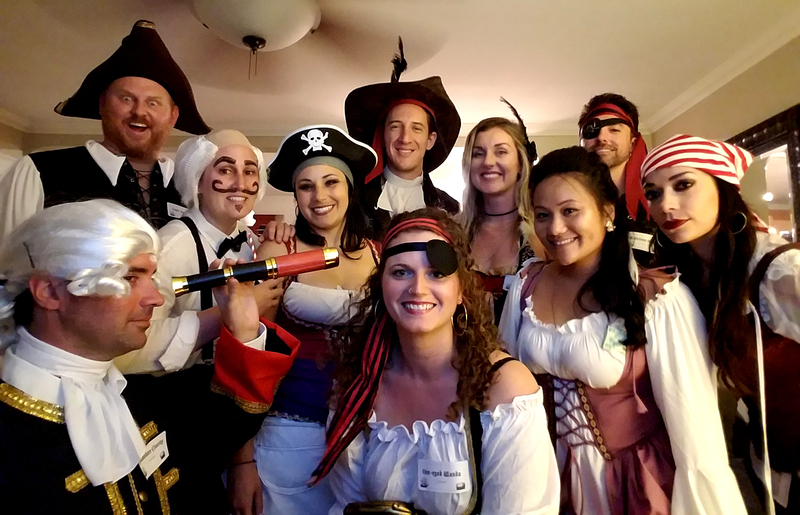 We had a great time at our second annual Night of Mystery party, which has been a birthday celebration for our daughter. 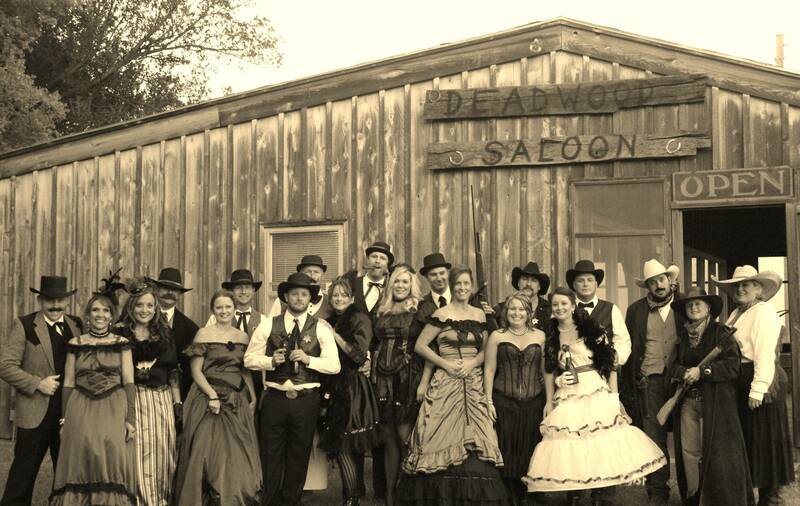 Last year we played TRAILER PARK TRAGEDY and this year it was MURDER AT THE DEADWOOD SALOON. Both mysteries were well-developed and so much fun to play! 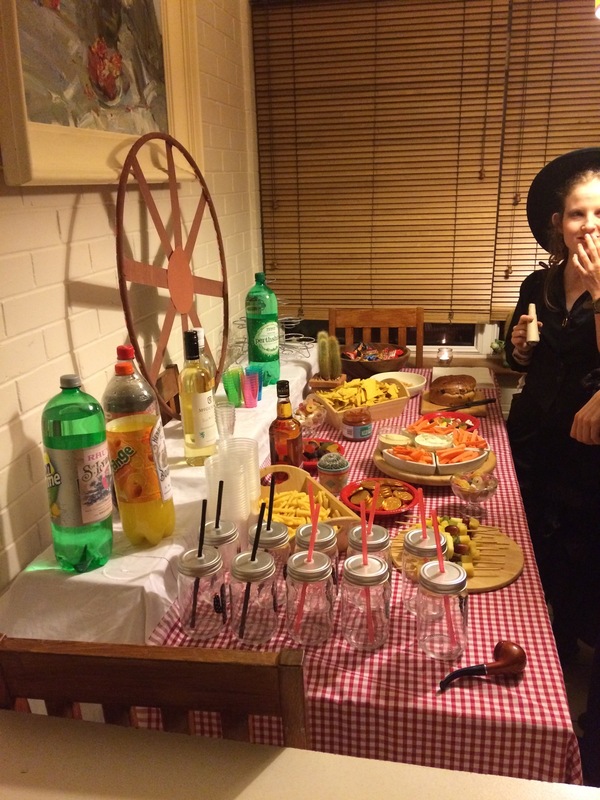 The preparation is almost as much fun as the party! Almost, because the parties are a blast!! It’s true that if you dress your part, you will really get into the character! 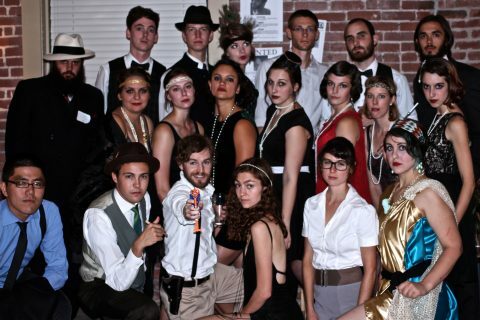 I can hardly wait for the 3rd Annual Murder Mystery Party!! Super fun night. I was very nervous about this actually working, but the kit comes with EVERYTHING - made for dummies. The plot was so funny. 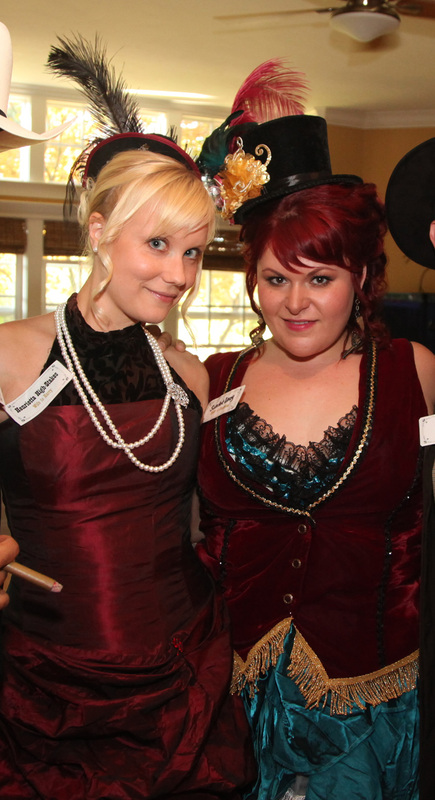 Everyone was very entertained and enjoyed the murder mystery very much!